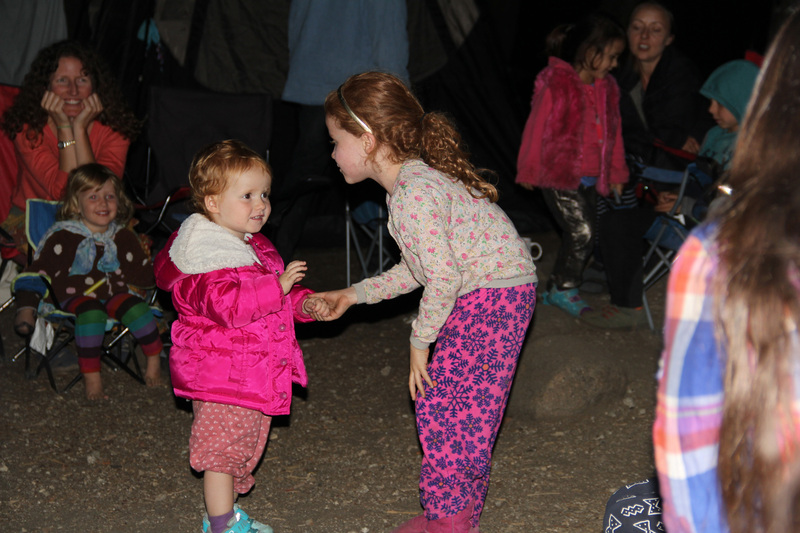 Photos for 2015 have been added Gallery Style at bottom of post. 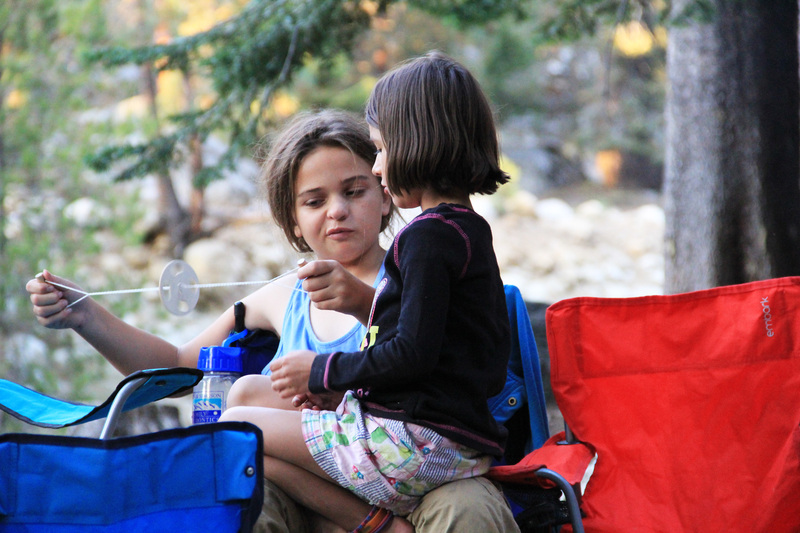 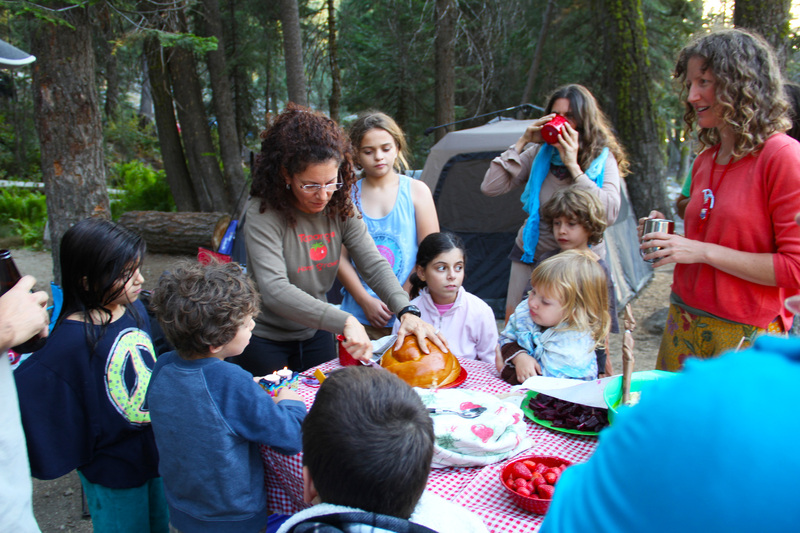 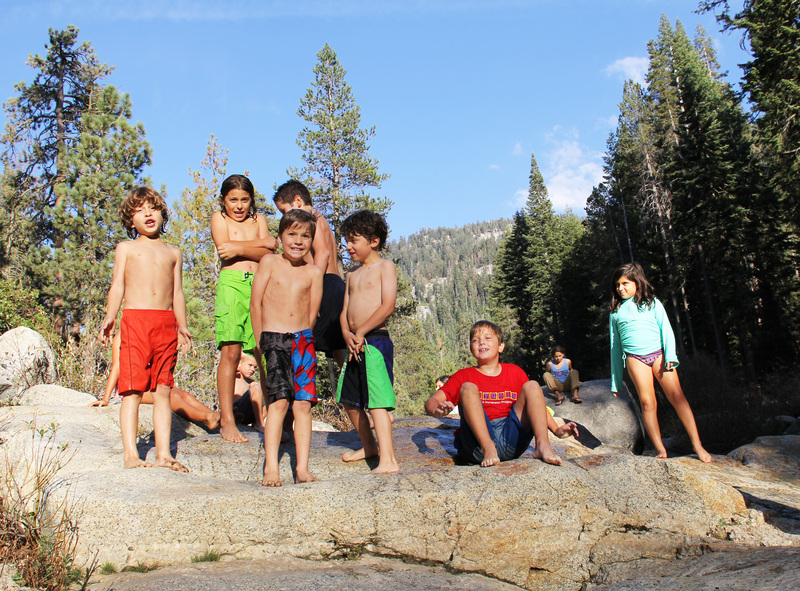 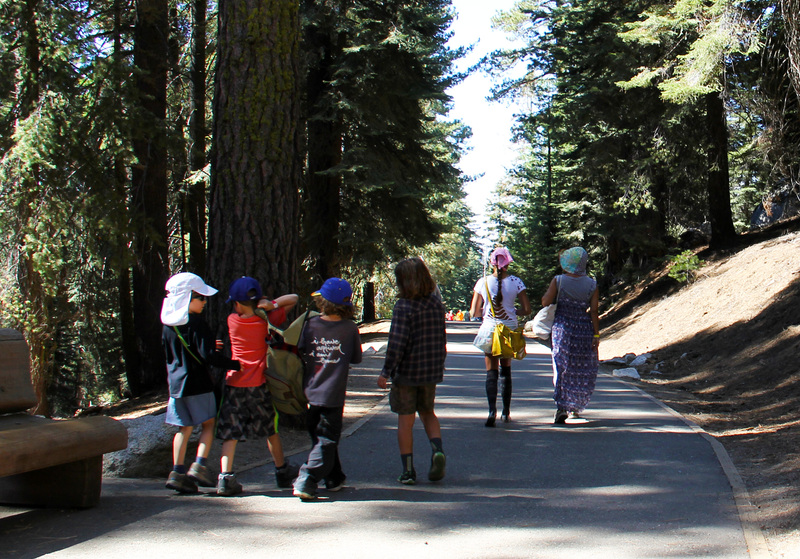 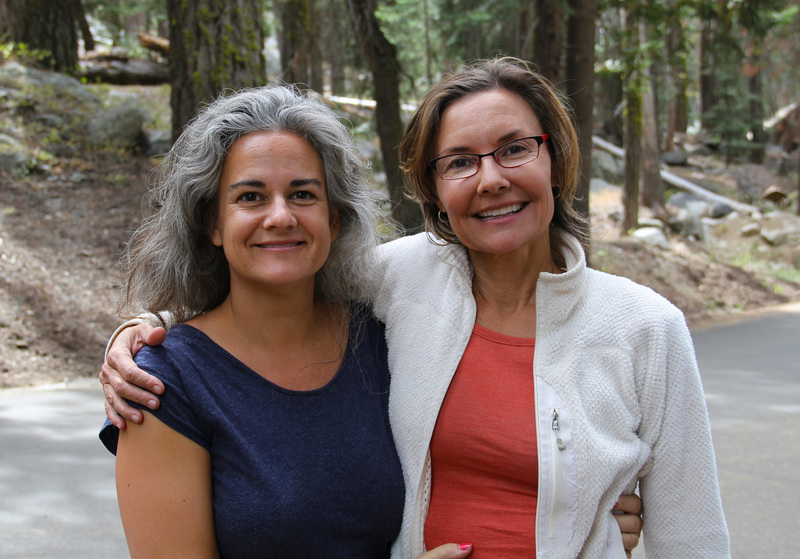 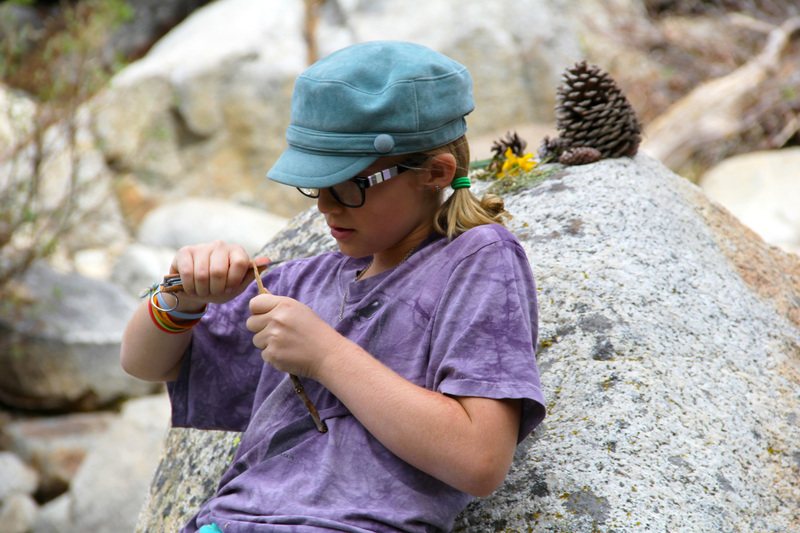 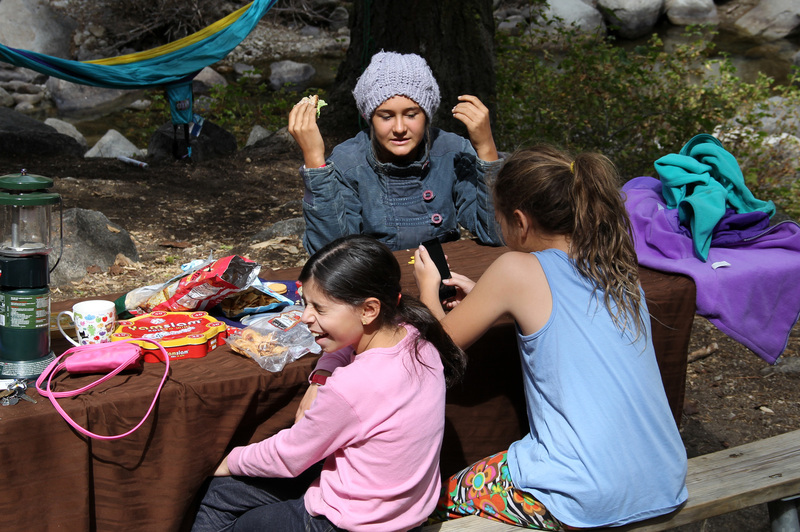 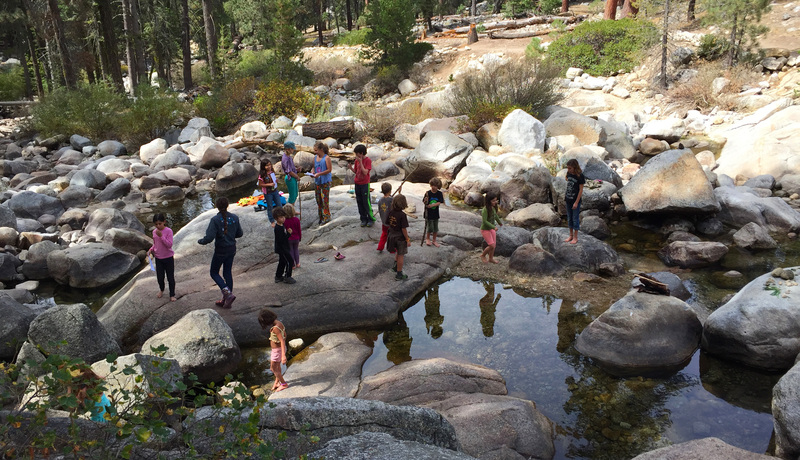 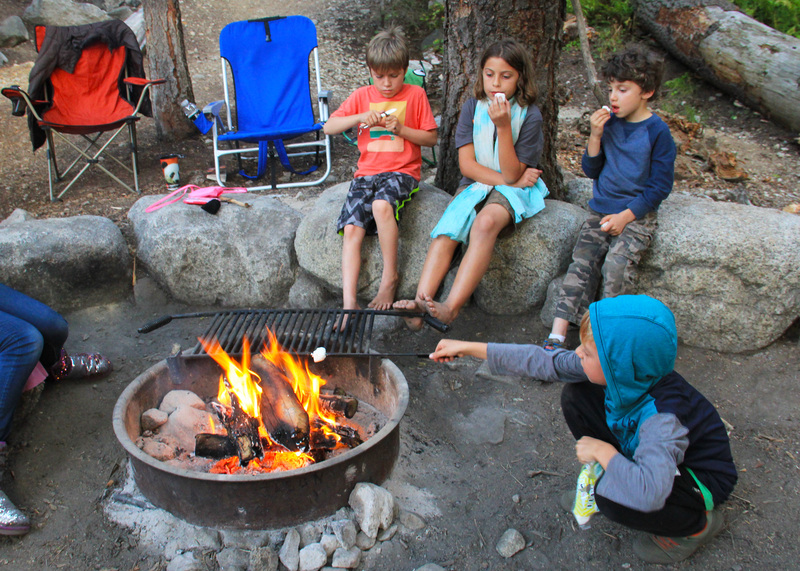 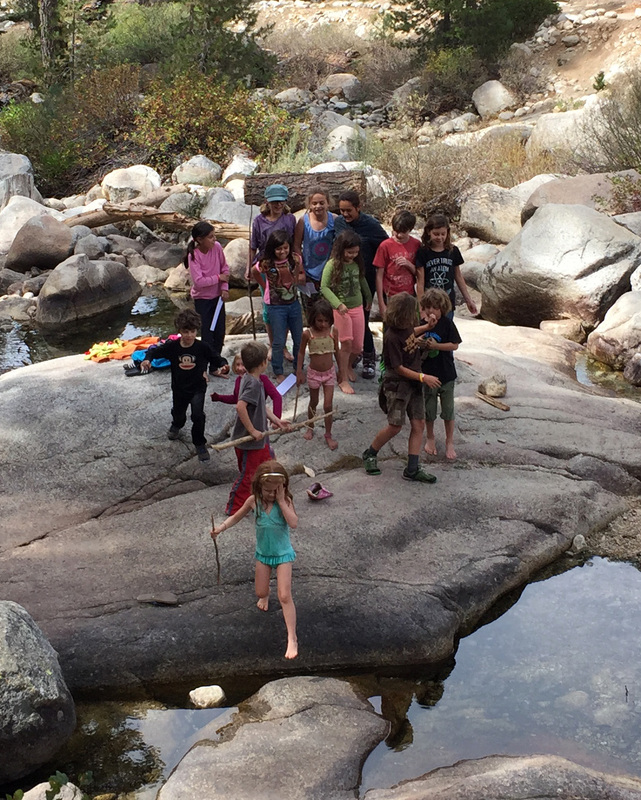 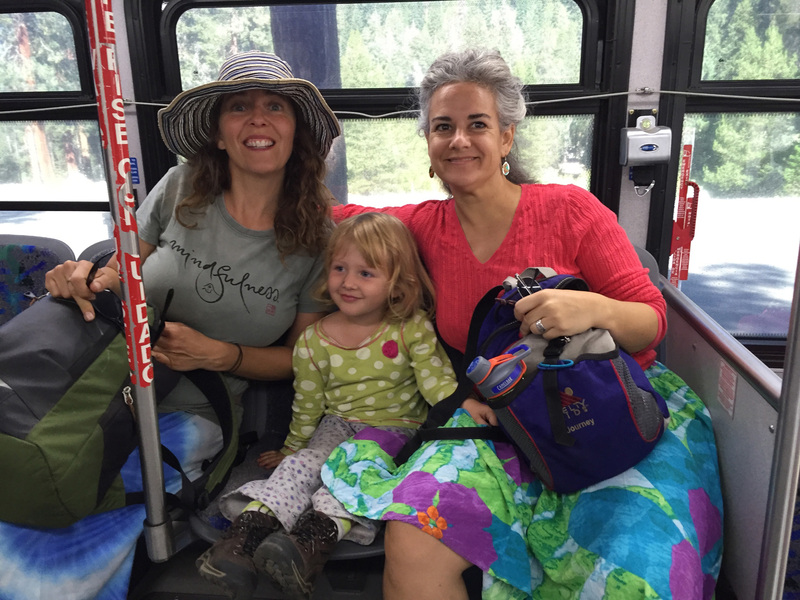 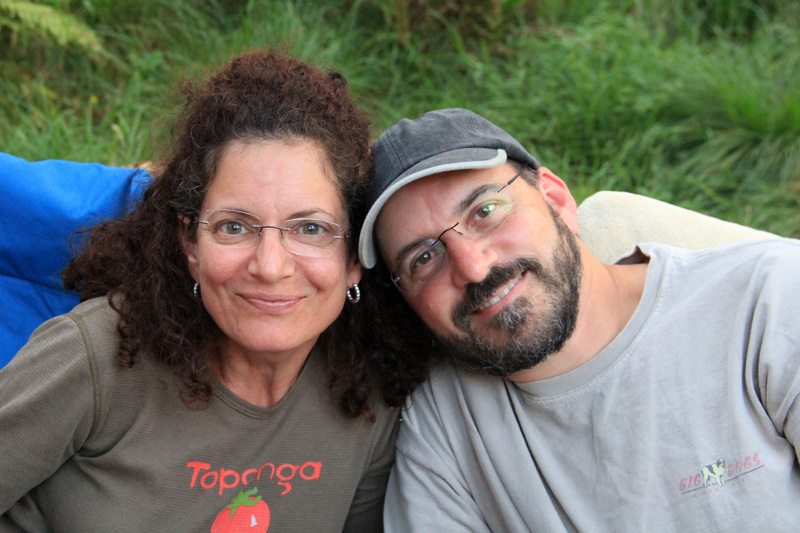 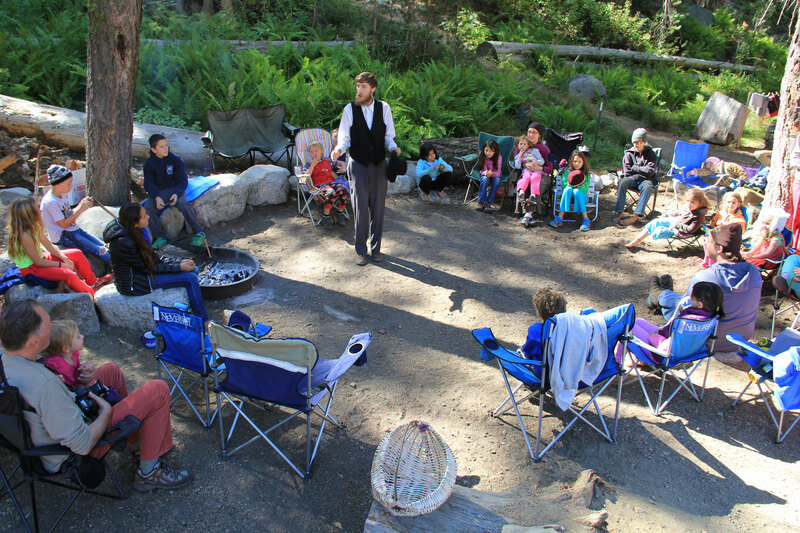 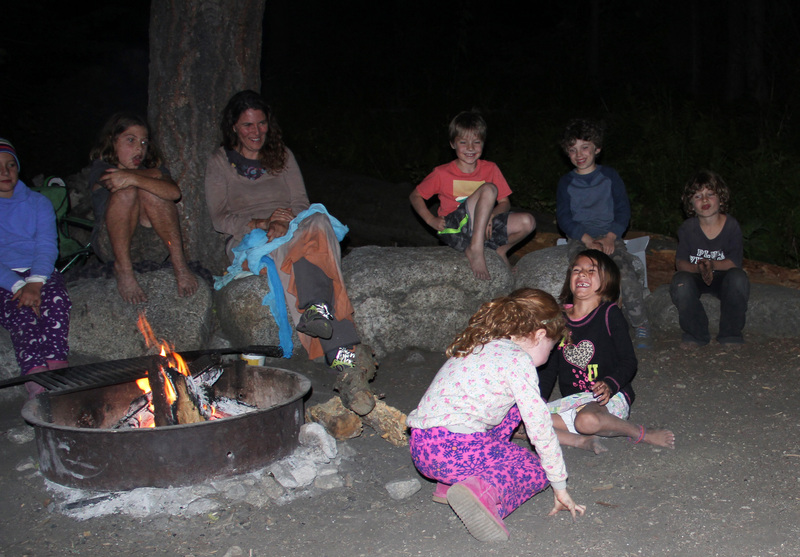 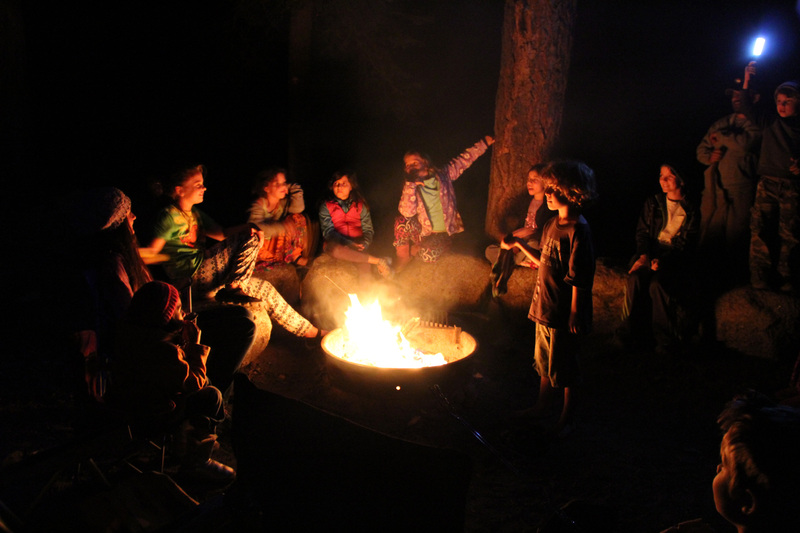 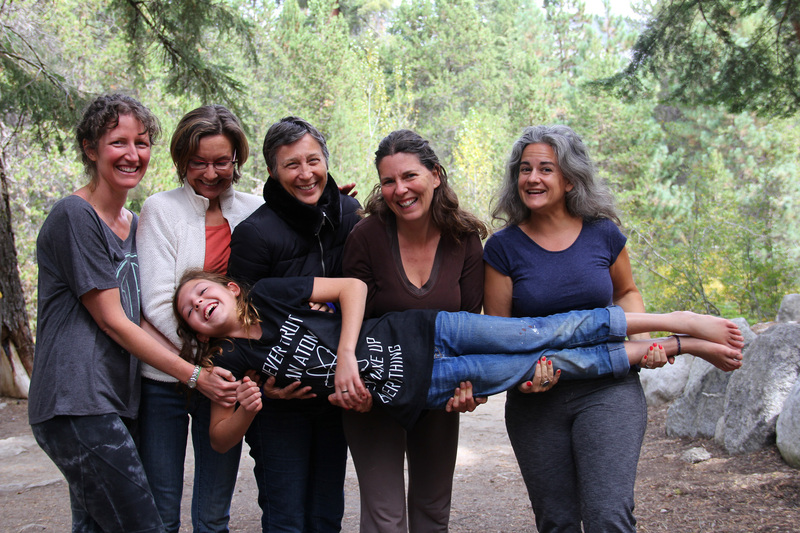 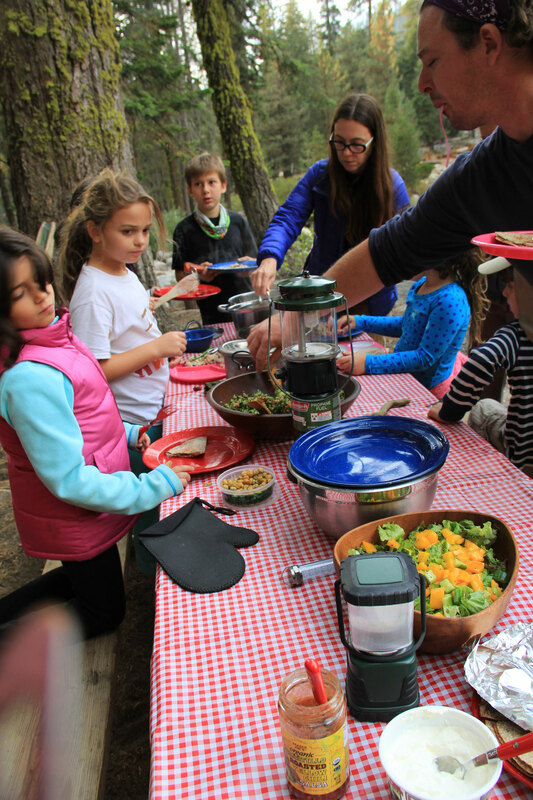 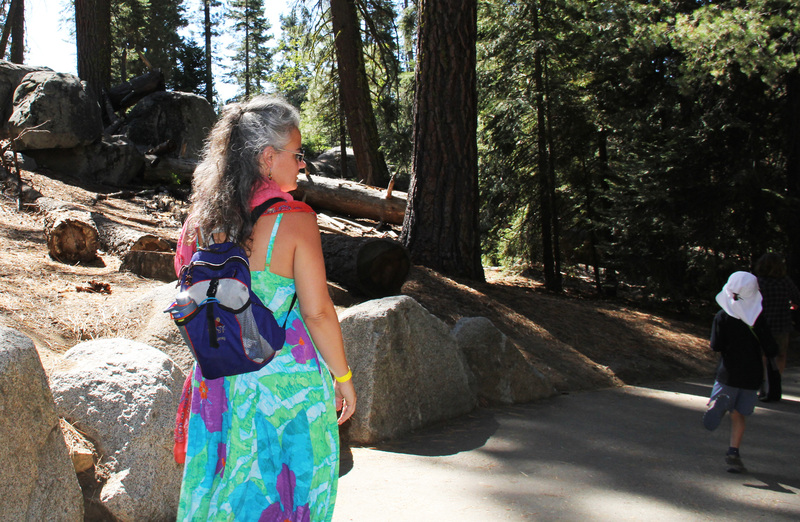 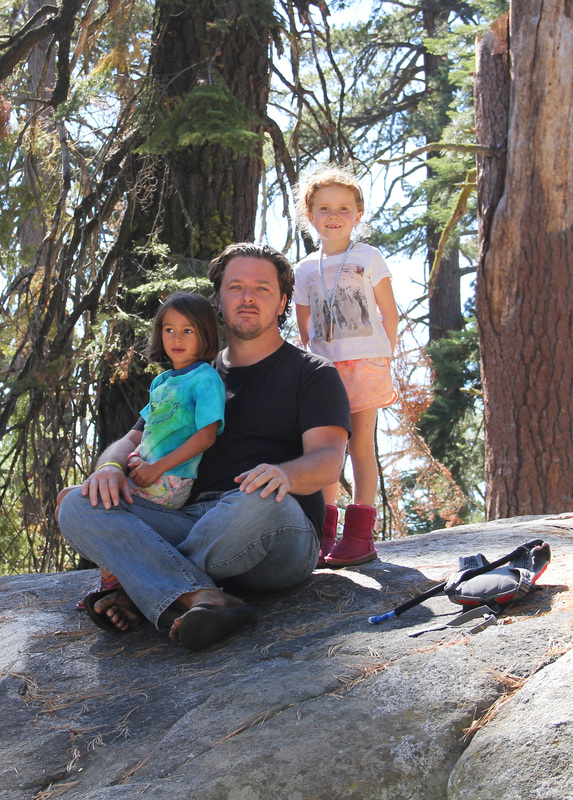 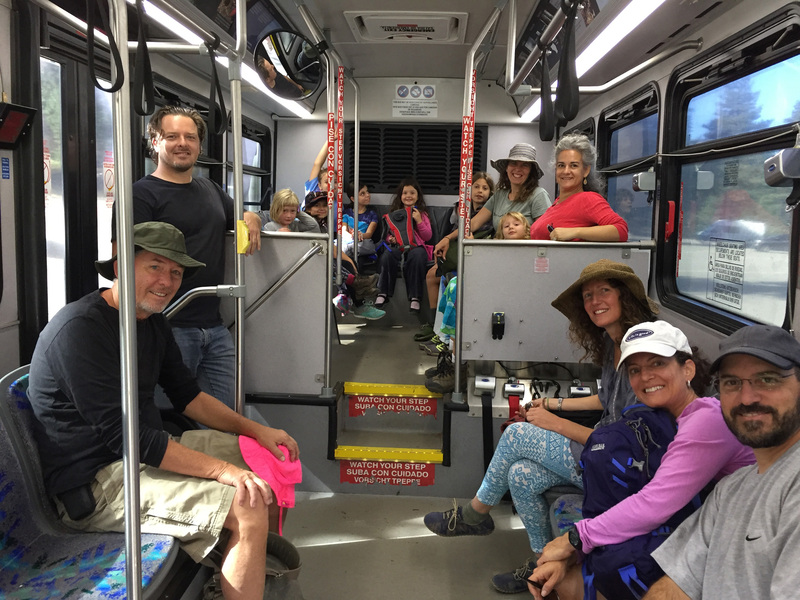 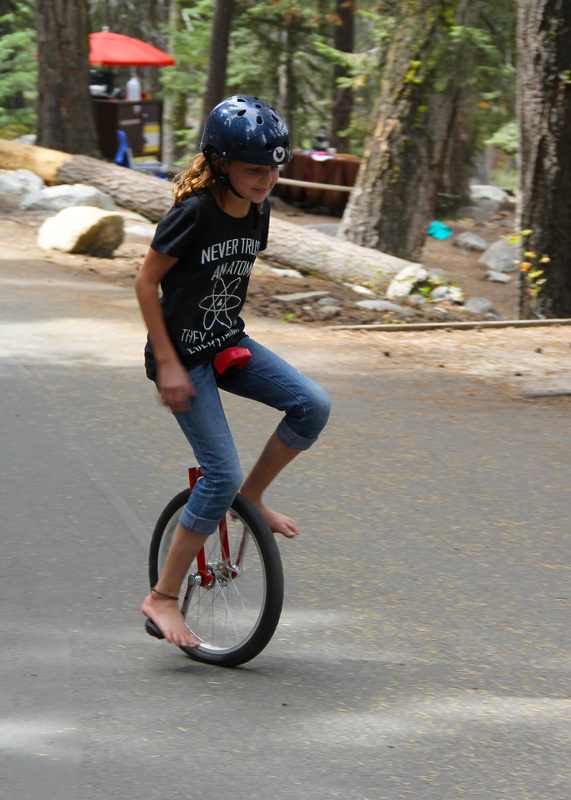 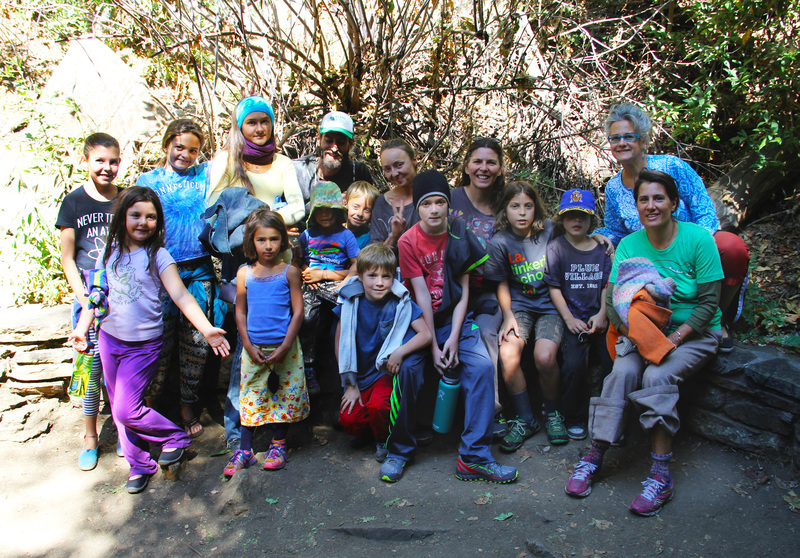 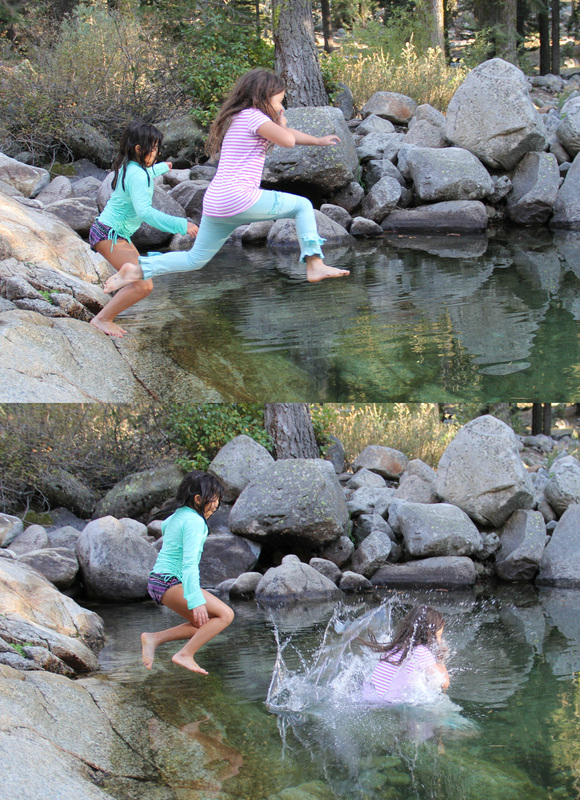 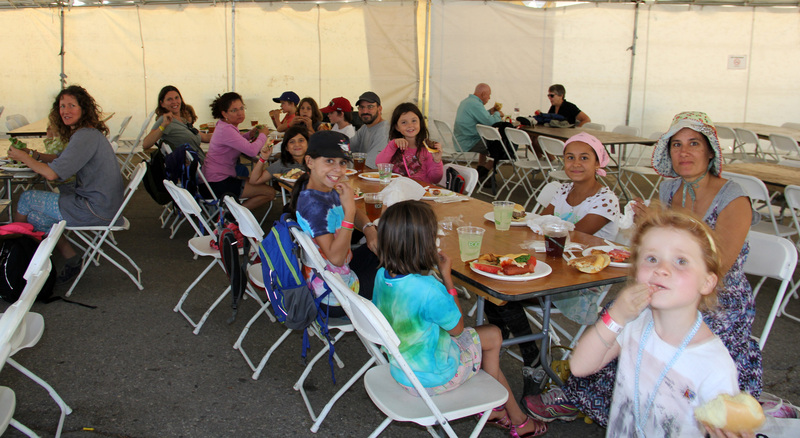 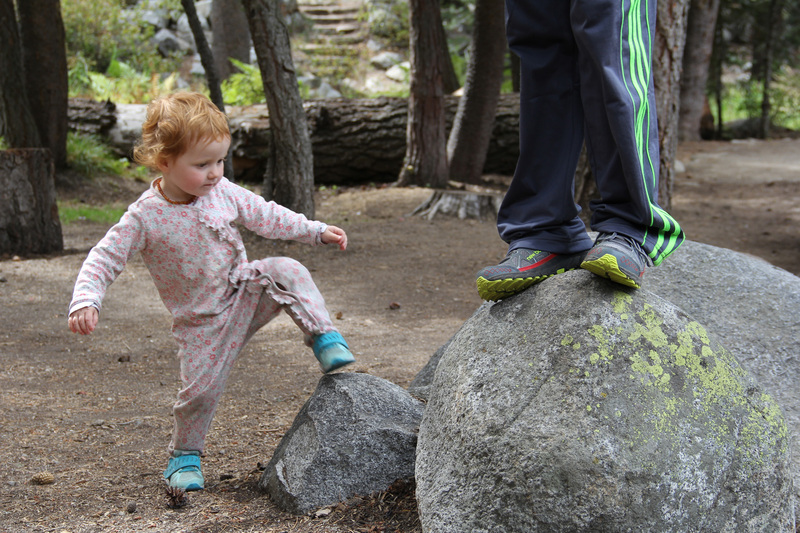 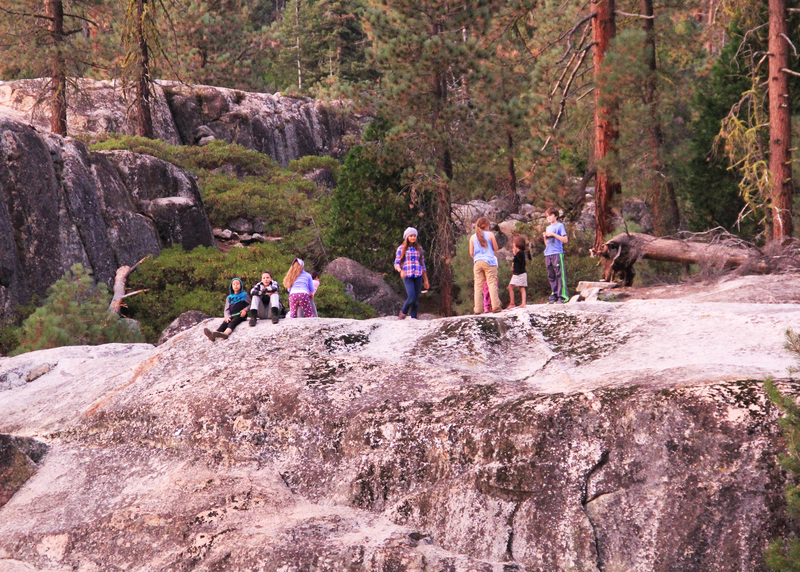 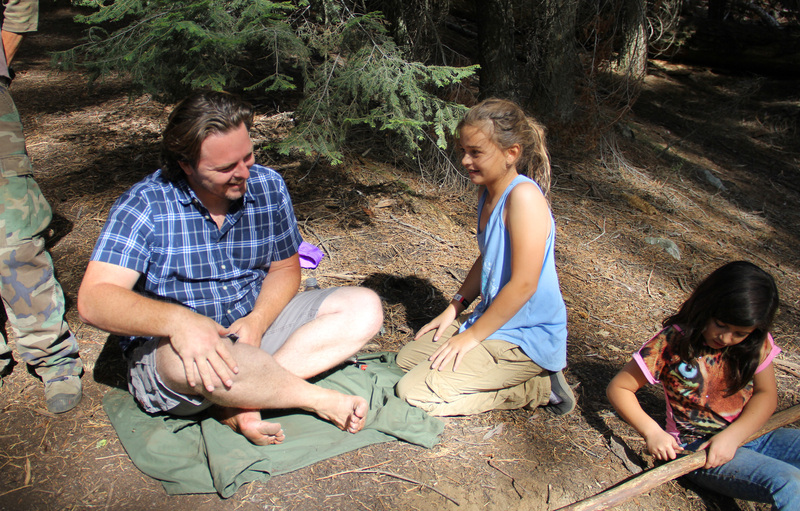 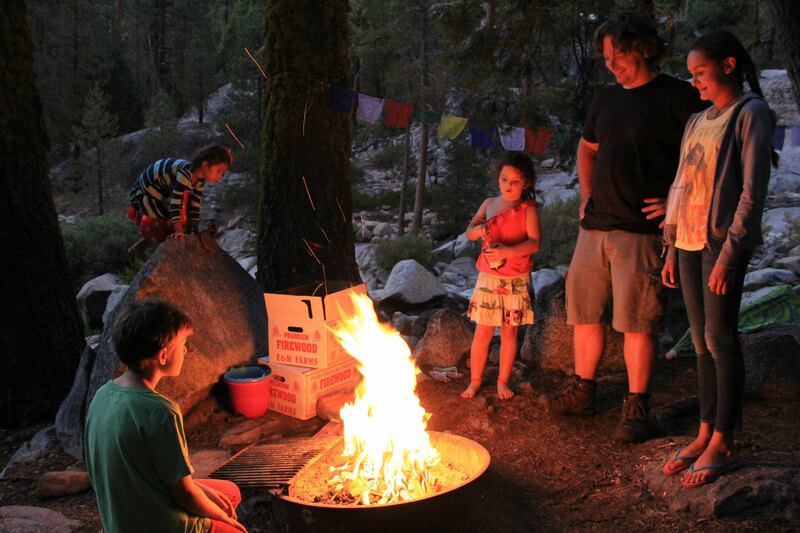 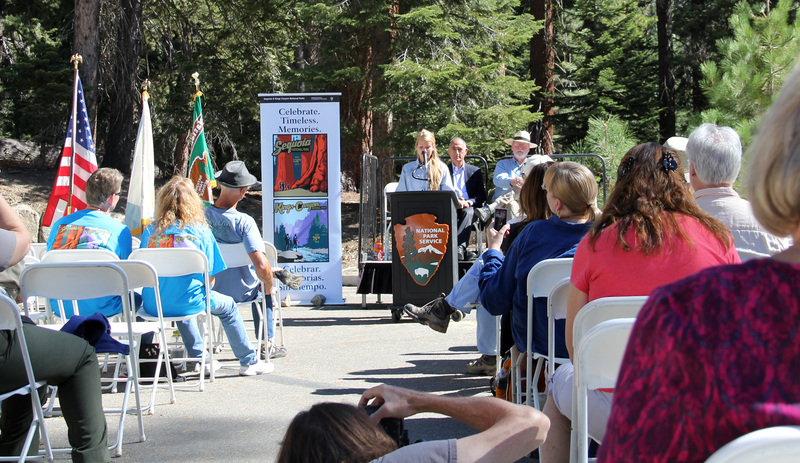 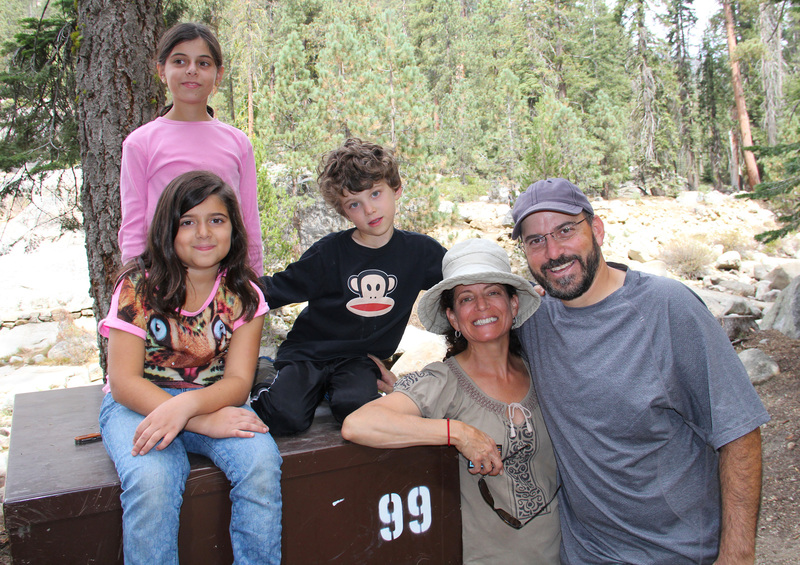 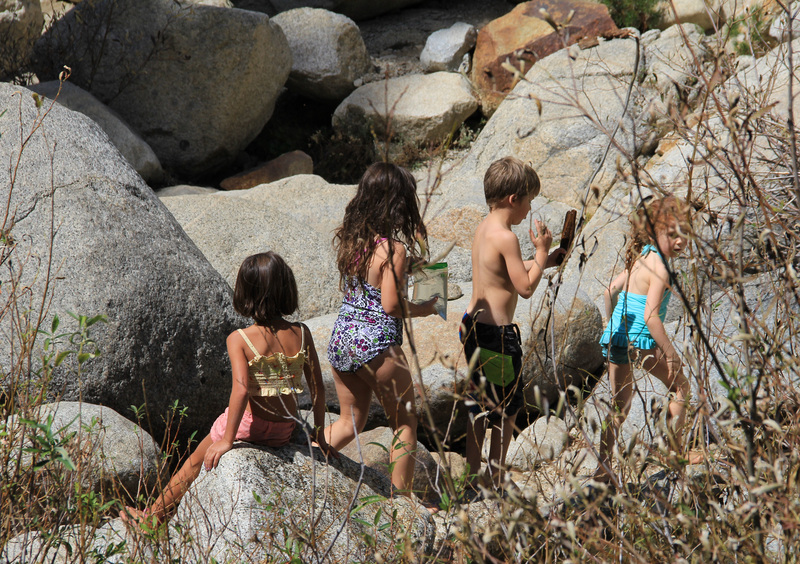 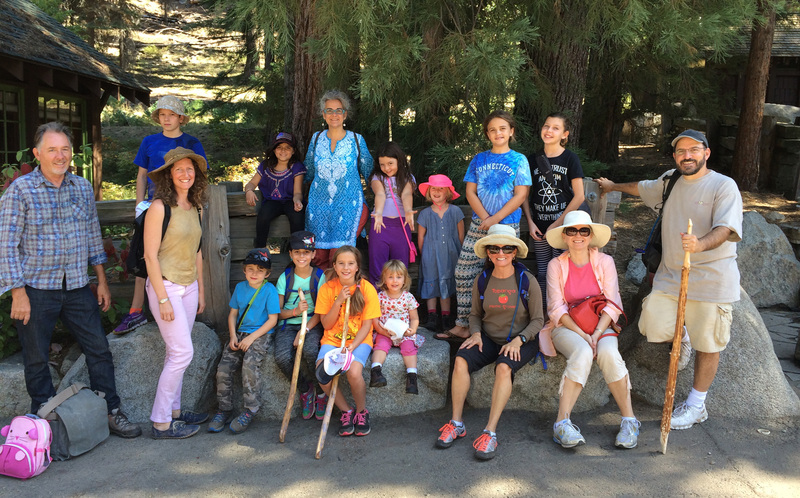 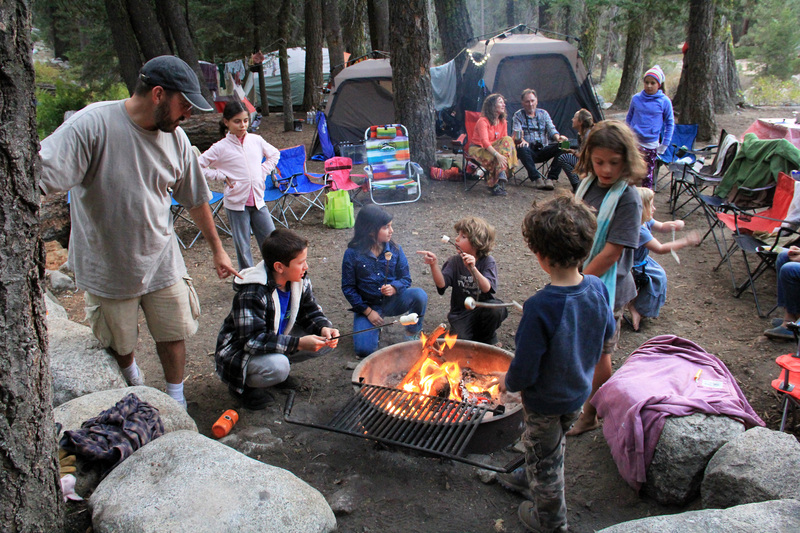 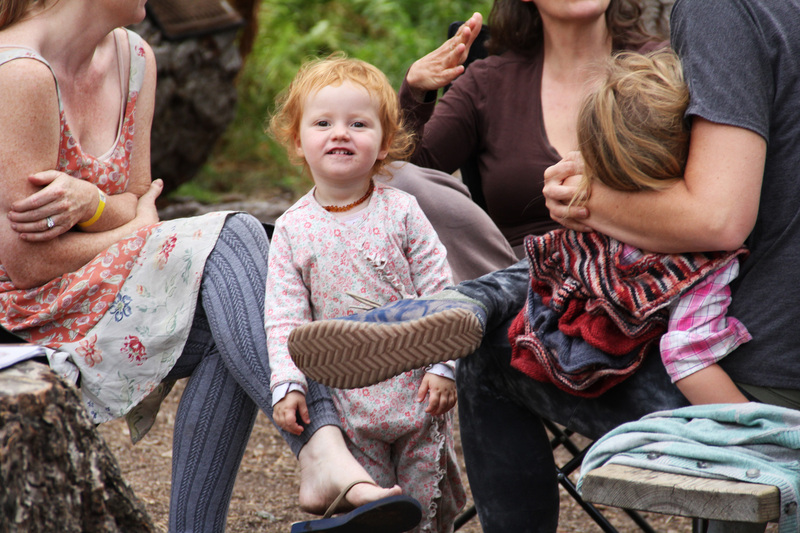 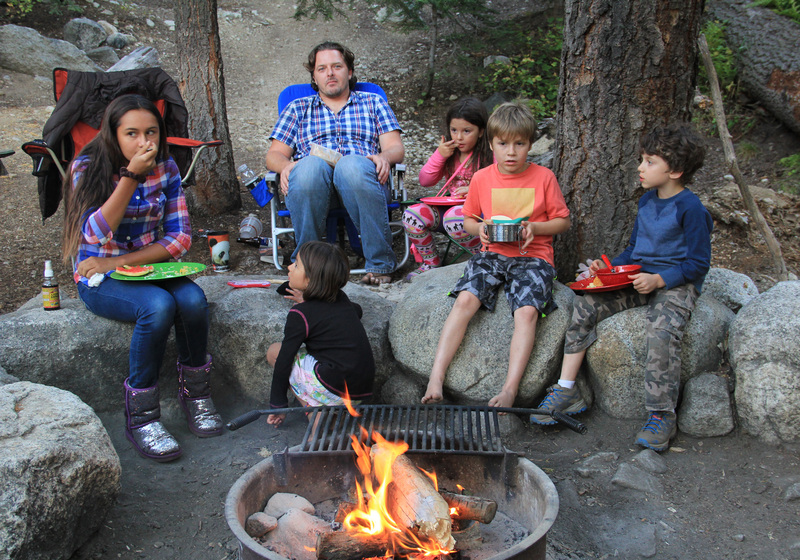 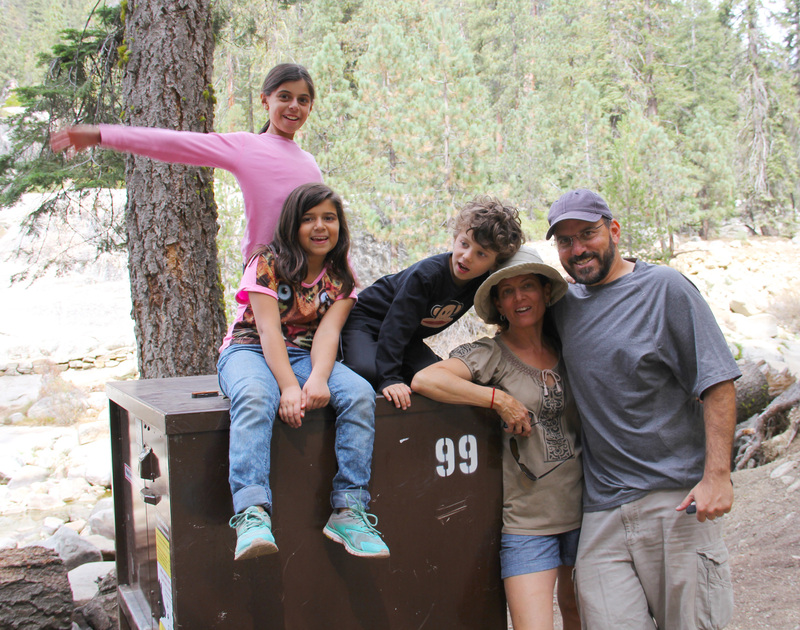 This will be the SIXTH year that I host amazing, courageous, experimental, holistic, hilarious, connective, compassionate, nature-loving families (who also homeschool) at Lodgepole Campground in the heart of the Sequoia National Park and it is on their 125th Anniversary! 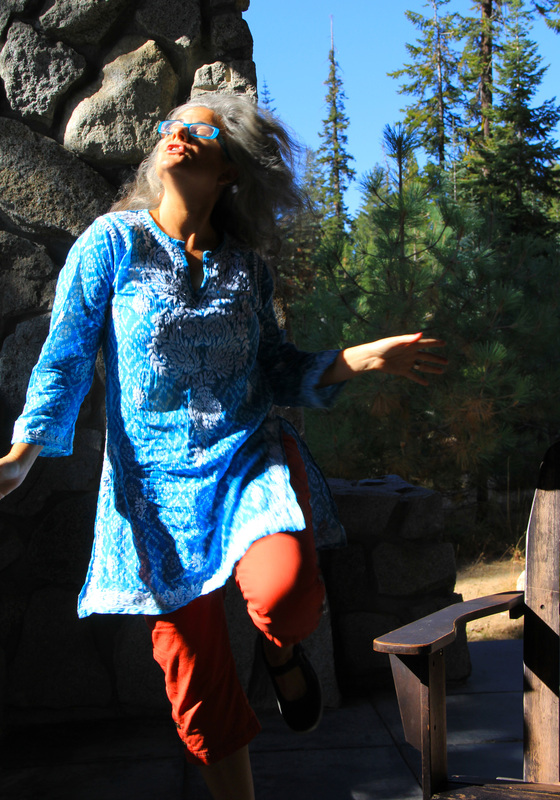 How fabulous is that? 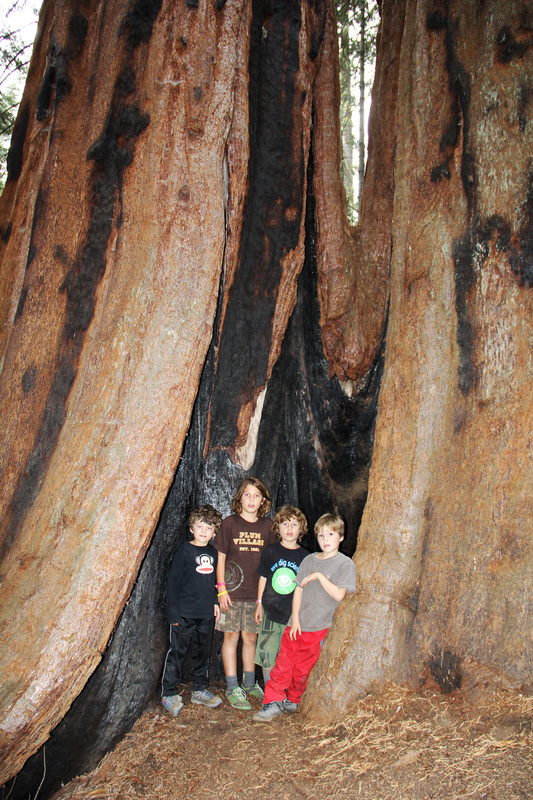 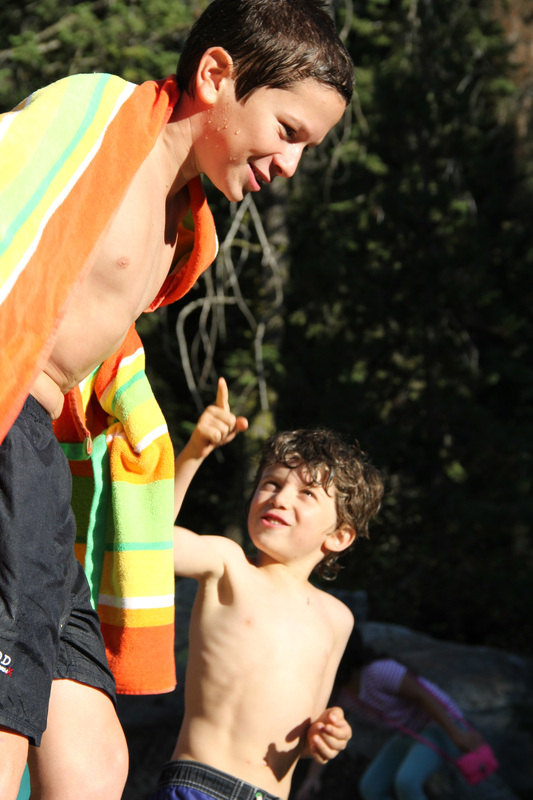 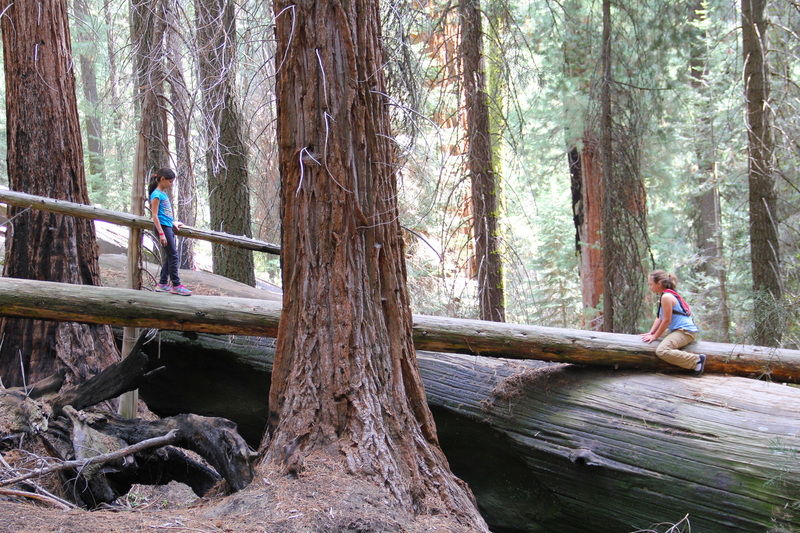 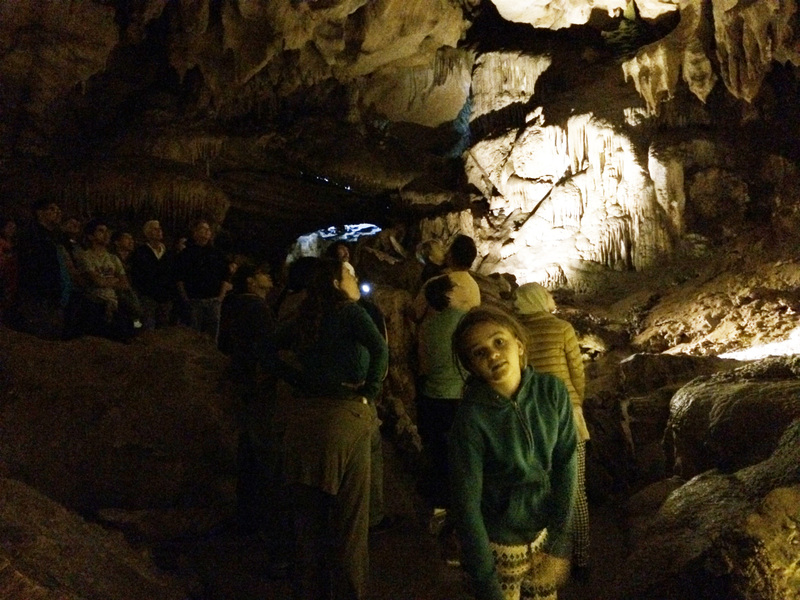 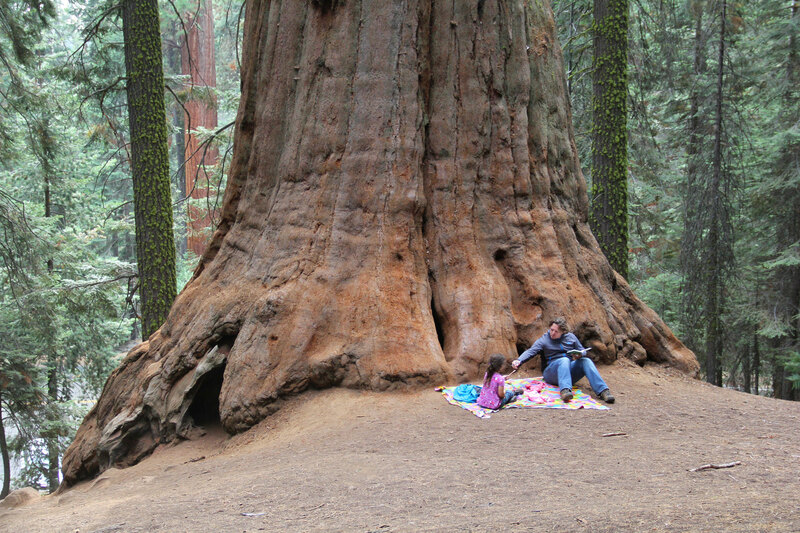 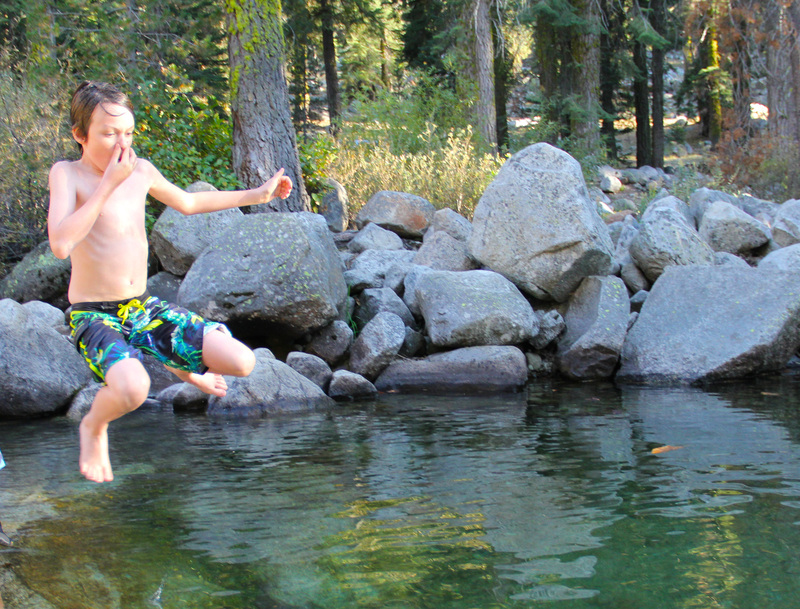 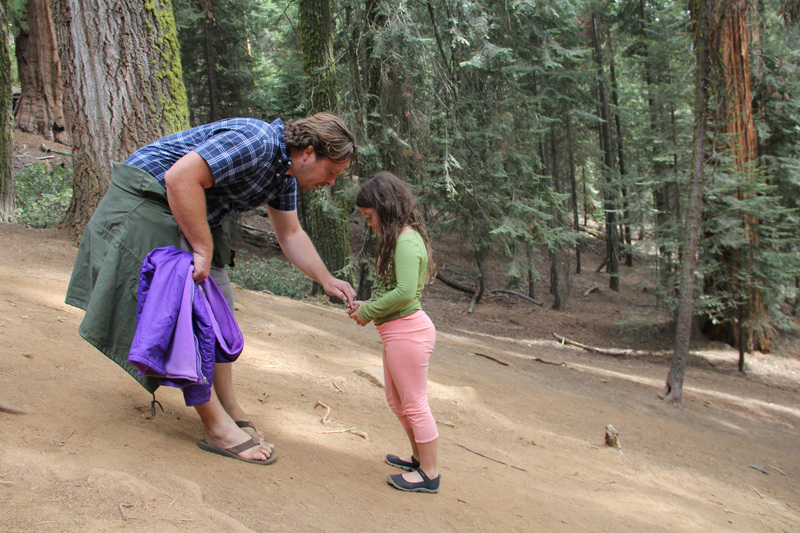 From Sept-May, Nat’l parks are FREE for families with a 4th grader (or homeschool equivalent). 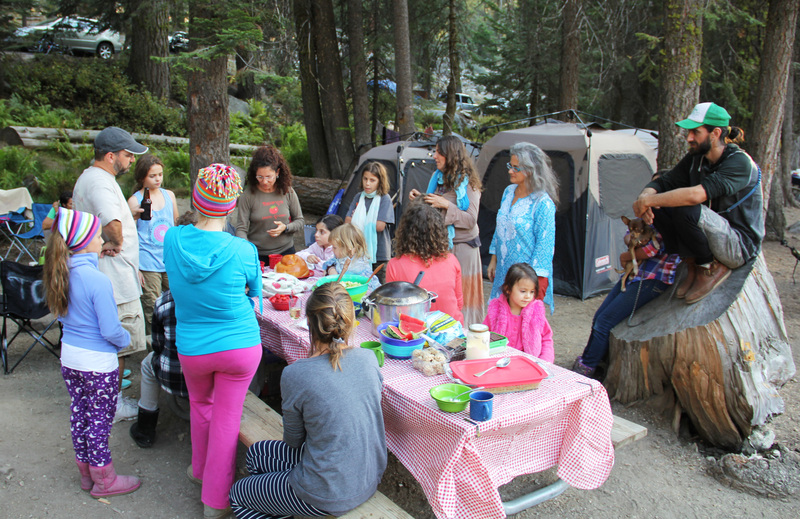 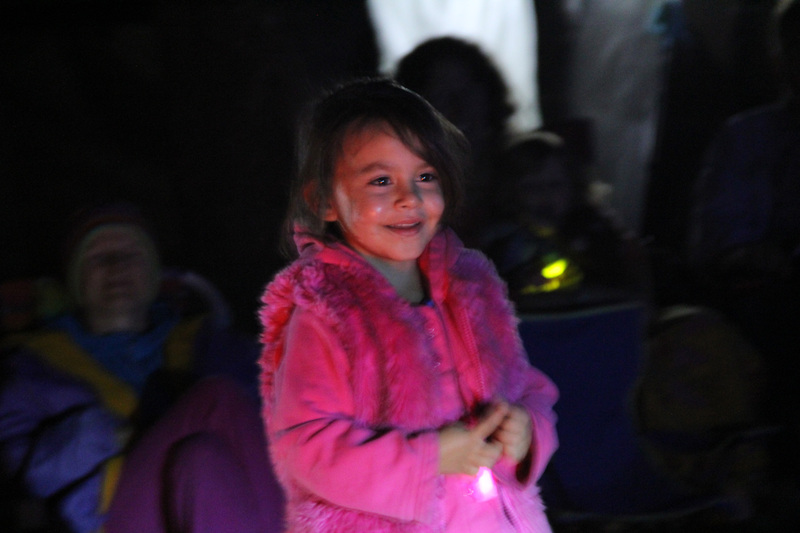 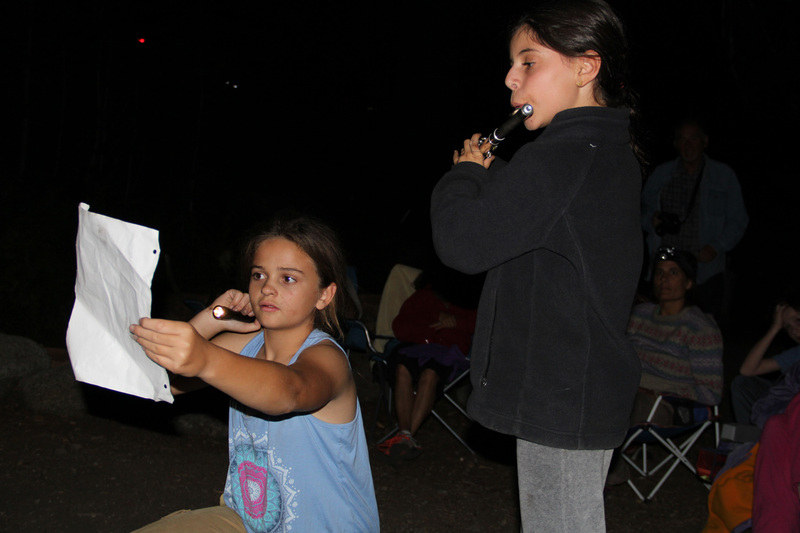 For a dozen families (and counting), we will share potlucks, a talent-show, hikes, early talks, late night games, a TOTAL LUNAR ECLIPSE, and a resetting of our inner rhythms to nature’s clock. 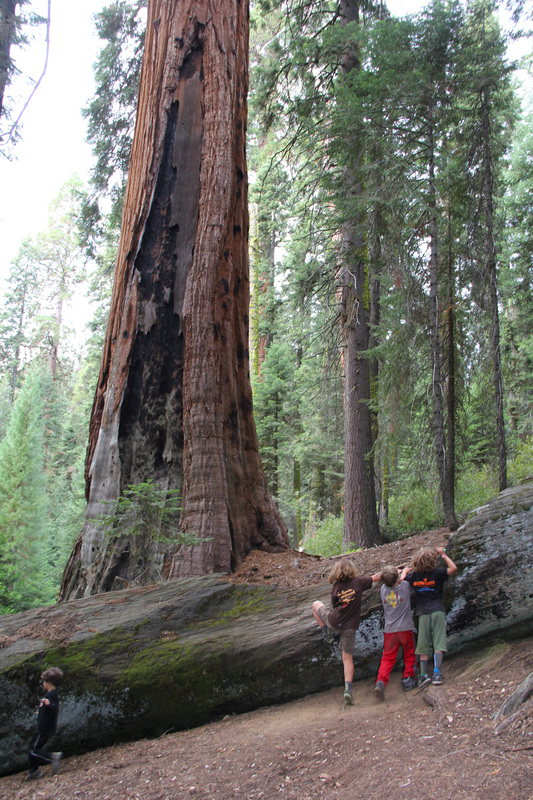 We will hike into the forests that are ancient (we are talking tens of thousands of years old), where even some of the trees themselves are over 3,000 years old. 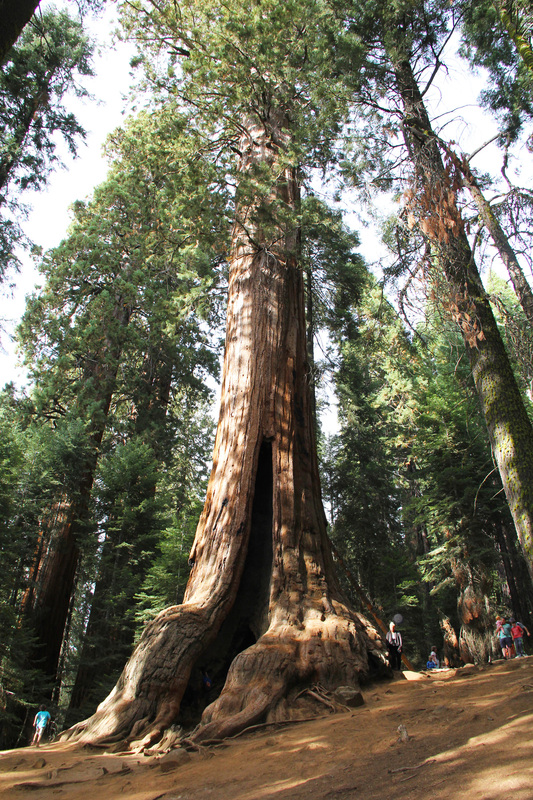 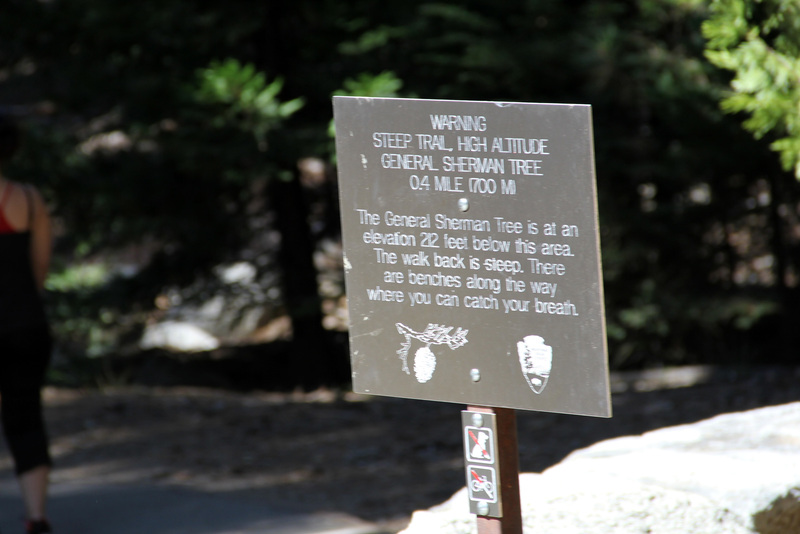 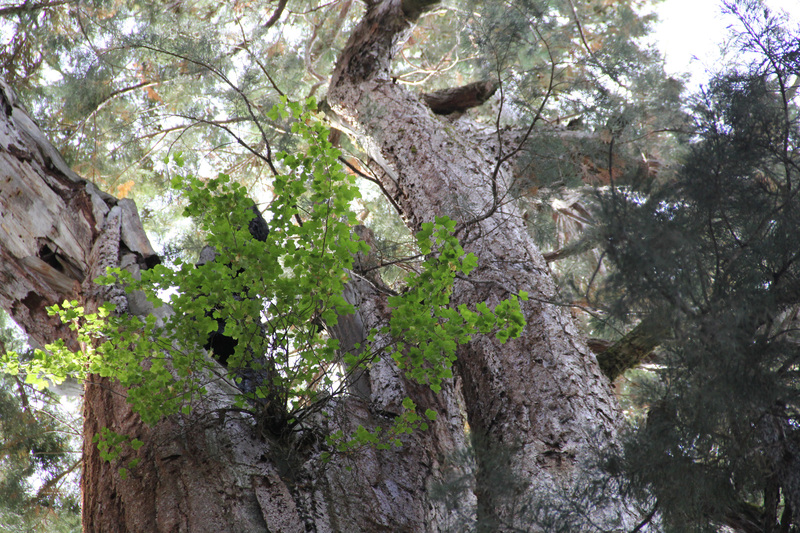 The largest tree in the world, the General Sherman tree lives here, as well as most of the other top 10. 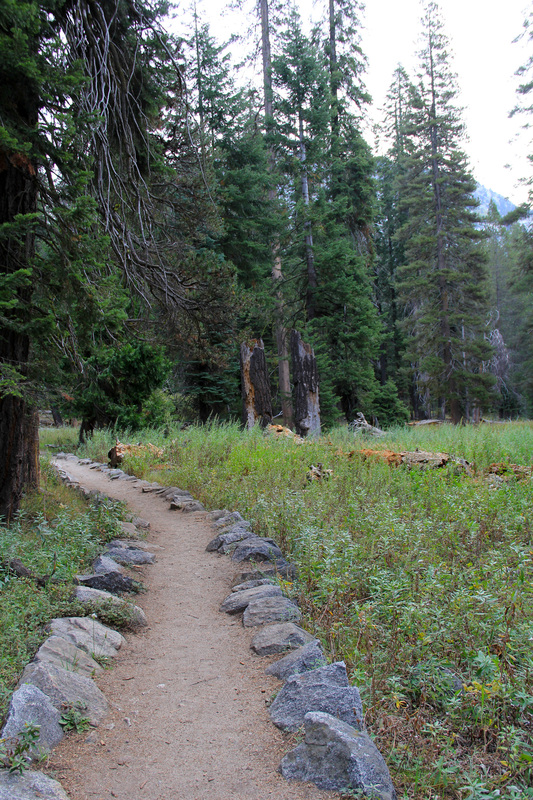 Recently threatened by fire (Rough fire entered parts of North Kings Canyon, that is now largely contained), and also dependent on fire to grow (Sequoia’s don’t repopulate without fire helping open their “seed vaults” and generate the optimal nurseries for the baby saplings), this forest is still battling to survive other changes in moisture and climate. 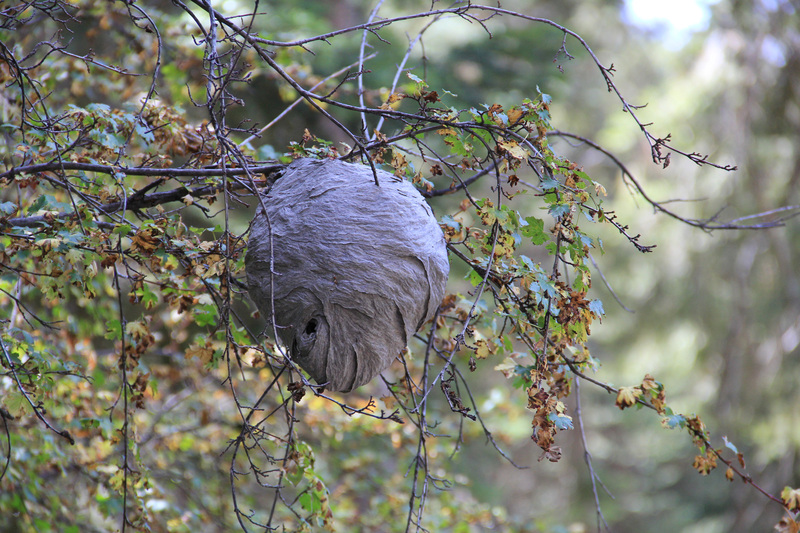 Bad humans! 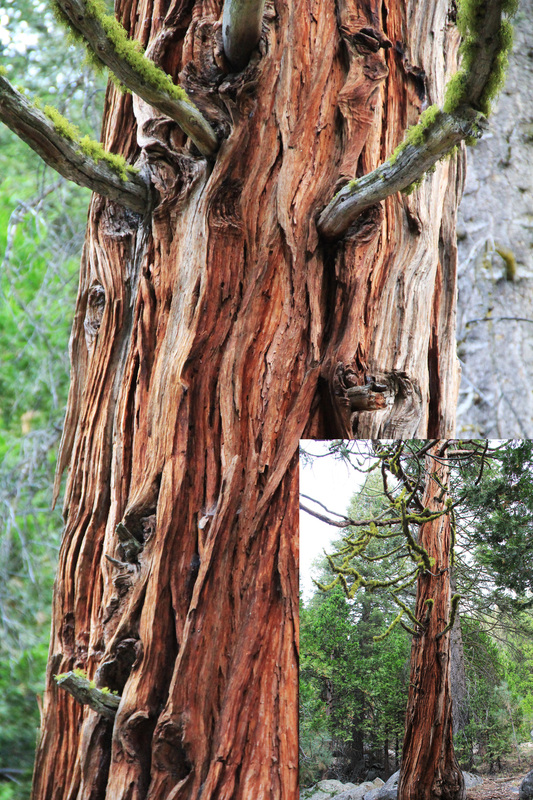 We all have a vested interest to help these Sentinels that have watched over our world for millennia. 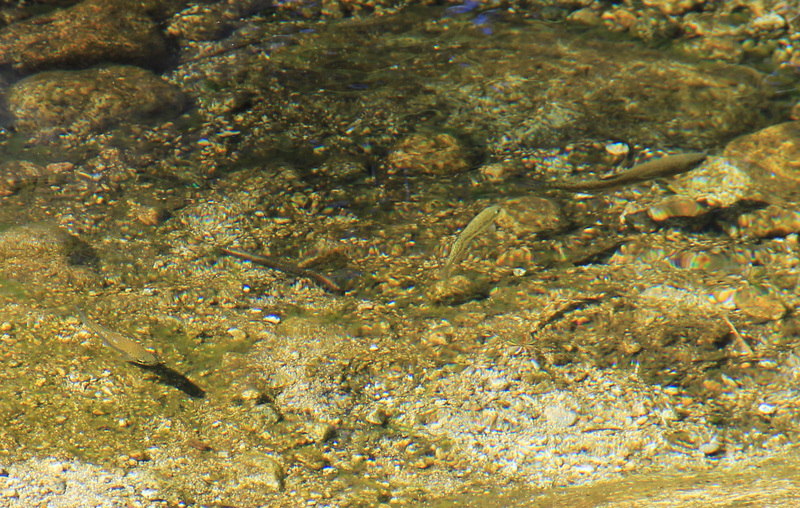 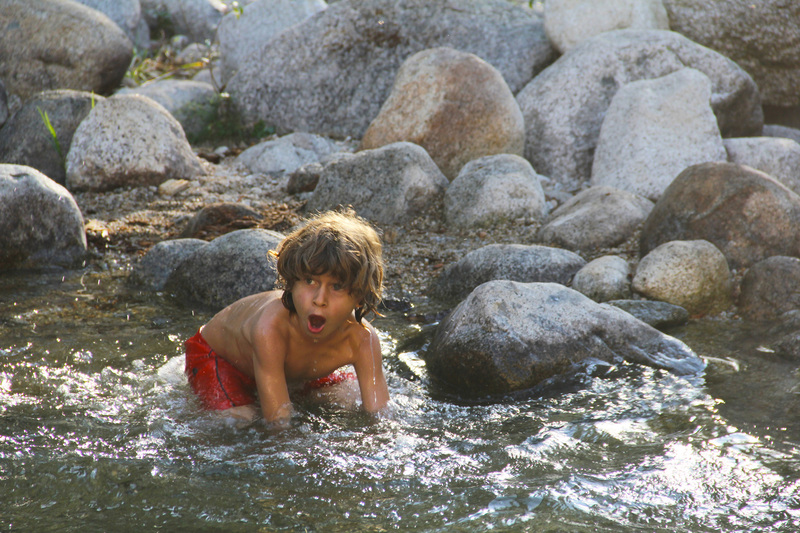 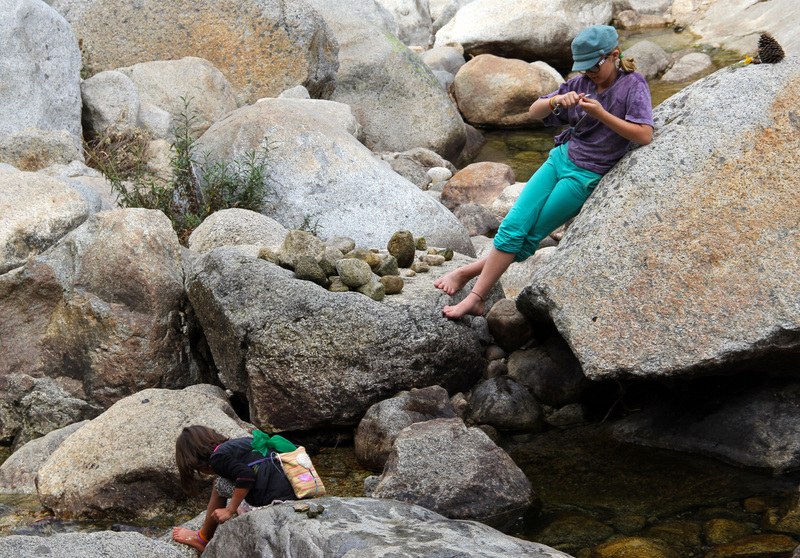 I can not wait to smell that earthy smell and hear the gurgle of the Kaweah that we camp beside. 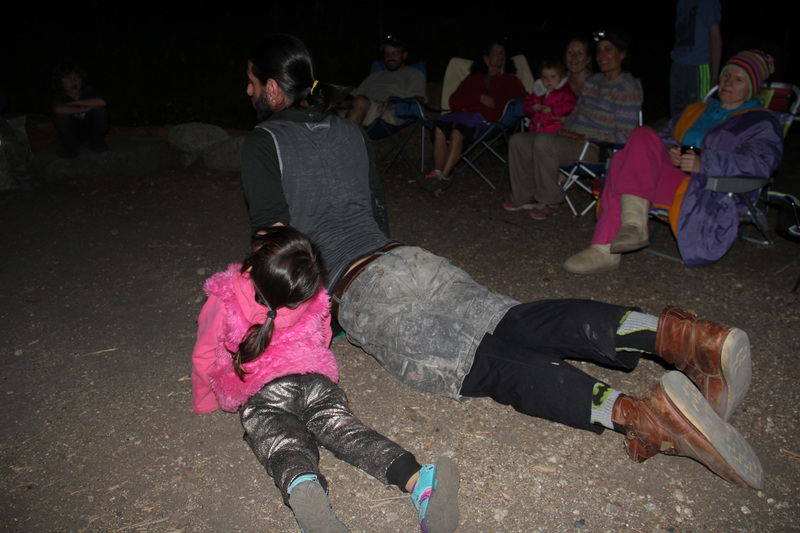 Or climb the 400 steps to the top of Morro Rock to see the vista during the day or witness the Total Lunar Eclipse (Sunday night 7:45pm). 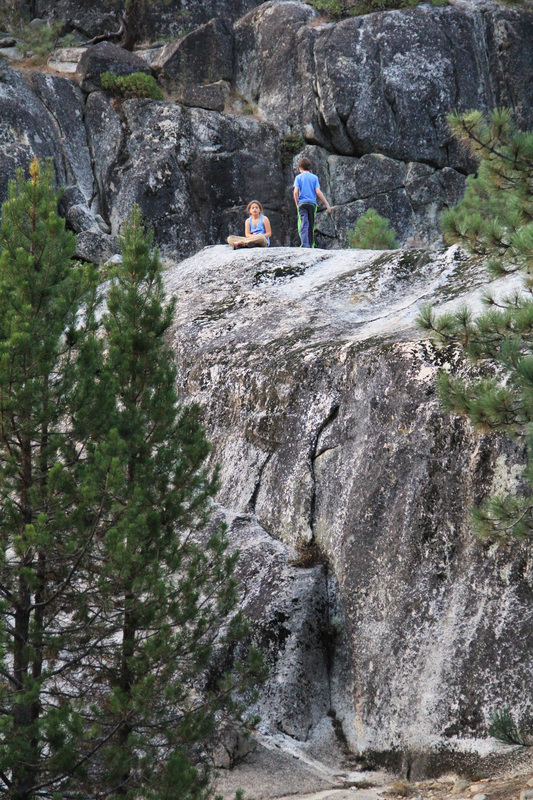 I can not wait to just listen to how the nature around me breathes and goes on every day. 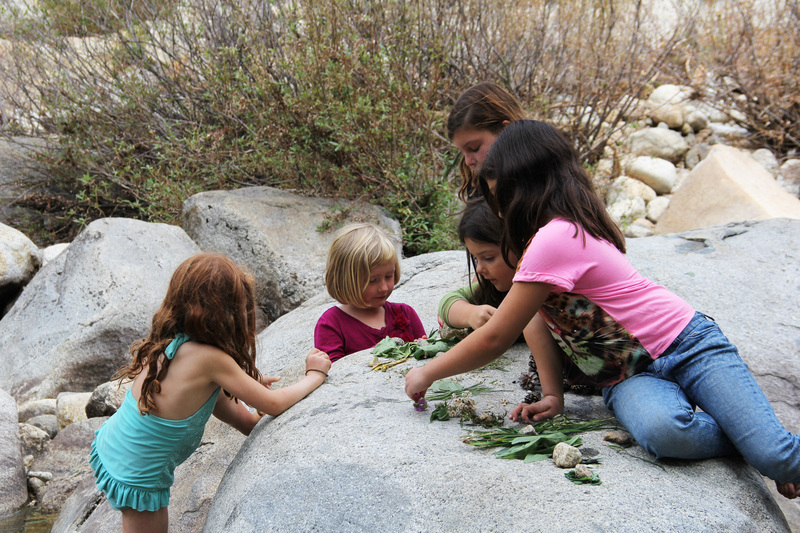 I can not wait for my children (which includes those of my dear friends, new and old): scramble over the rocks, make up imaginary games, build rock cities, whittle sticks into staffs, feel and be free, yell and listen for their echo, gently hold bugs and lizards, watch chickarees dismantle pinecones, help each other out, devise new ways to do things, not notice the absence of electronics, and completely charge up on nature. 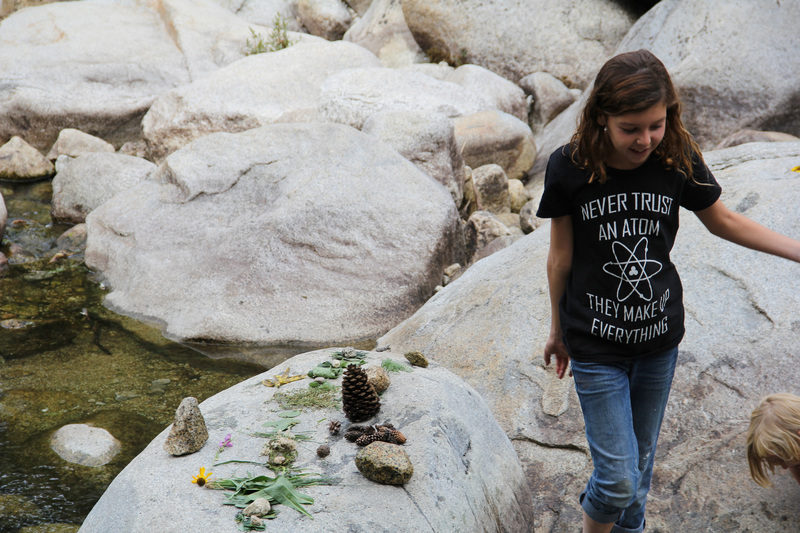 Nature is where we learn new things about ourselves. 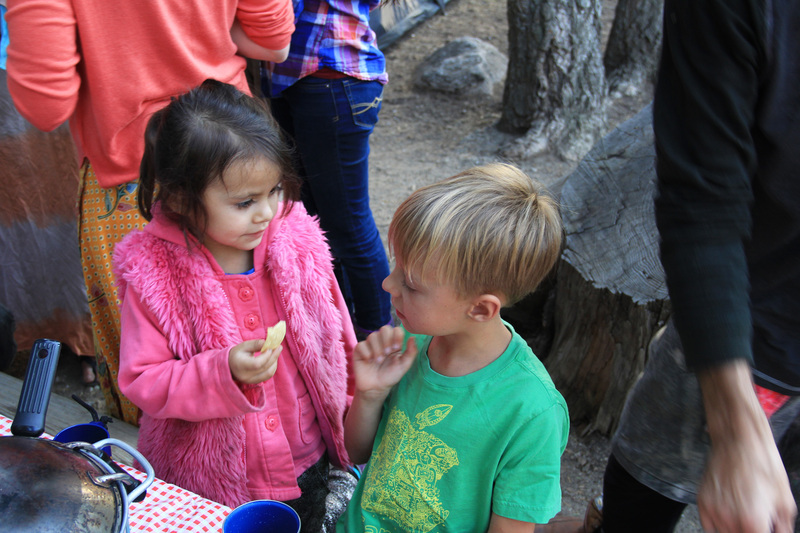 Learn new things about each other. 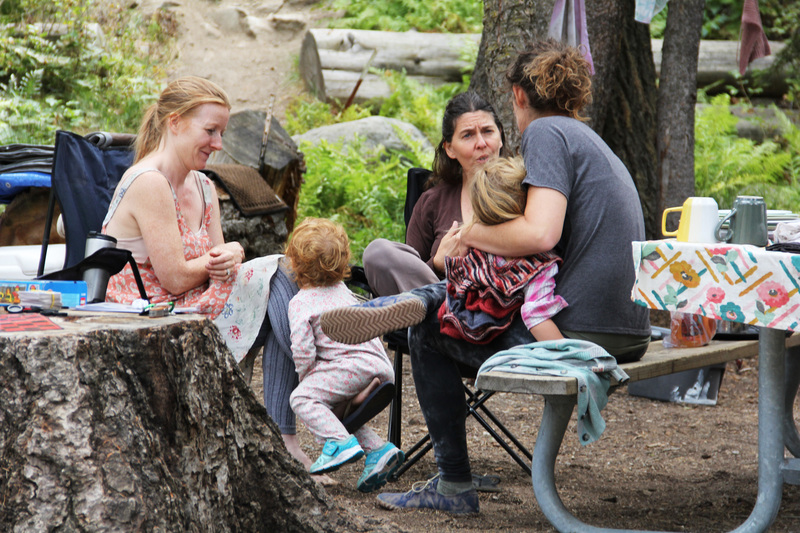 Relearn what we once knew, but has gotten lost within the layers and layers of home-life, work-life, relationship-life,… you get it. 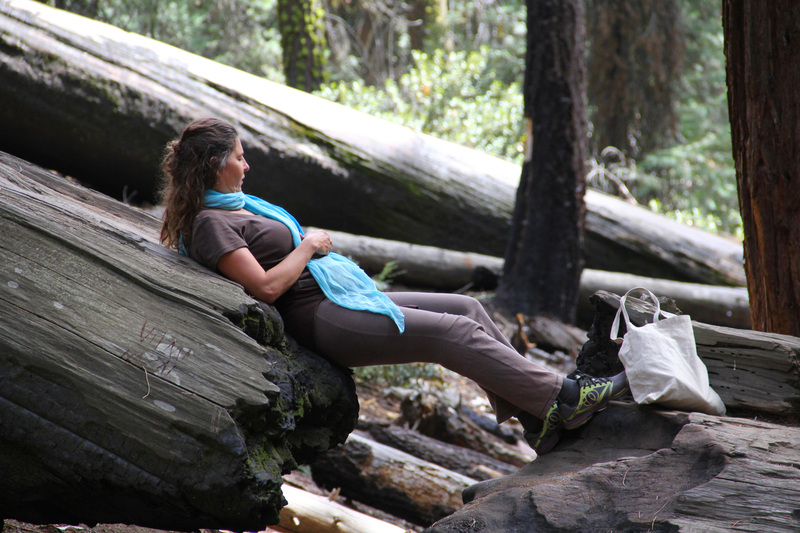 Nature calmly holds us (and sometimes not so calmly) and reassures our core being that we are meant to be where we are, we are permitted, actually invited to breath deeply. 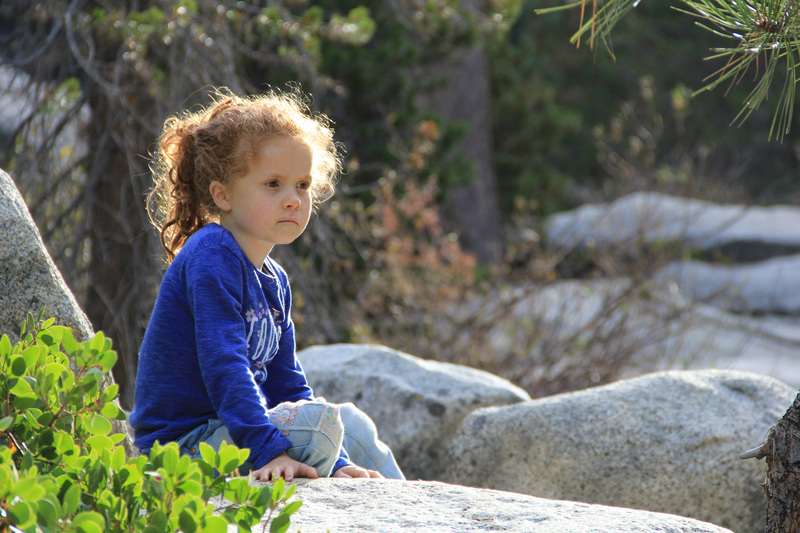 Nature tells us that there is TIME for everything and that everything in front of us and within us is available at any minute. 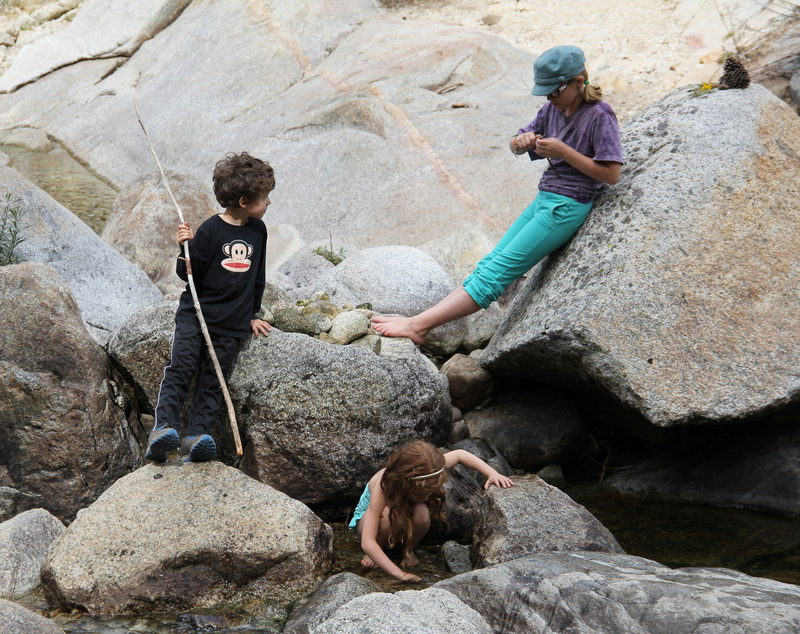 Nature re-introduces us to our bodies, our fears, our resourcefulness, our sense of wonder, … some of the best parts of ourselves. 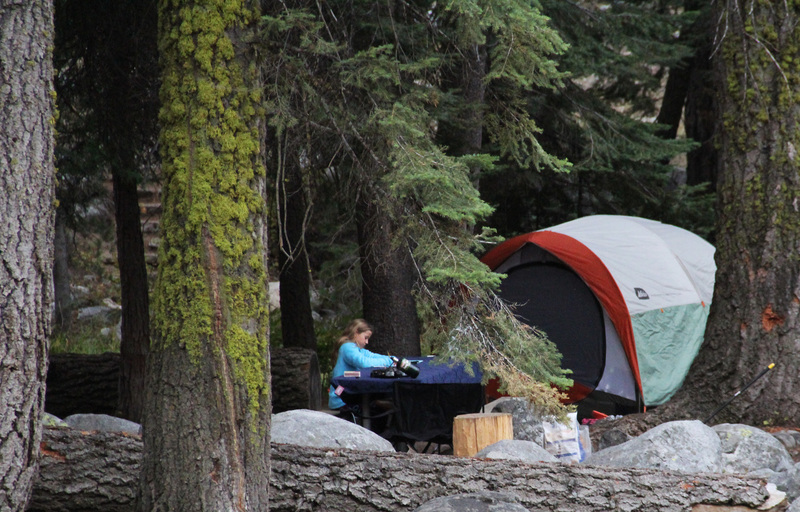 Many of us booked sites 6 months out to ensure we could all camp in close proximity to the river and to each other encompassing a weekend. 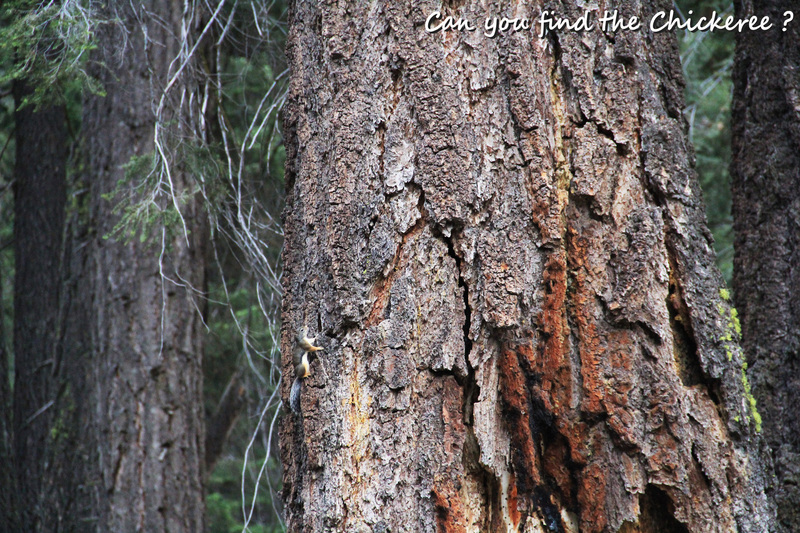 But there are spots that open all the time. 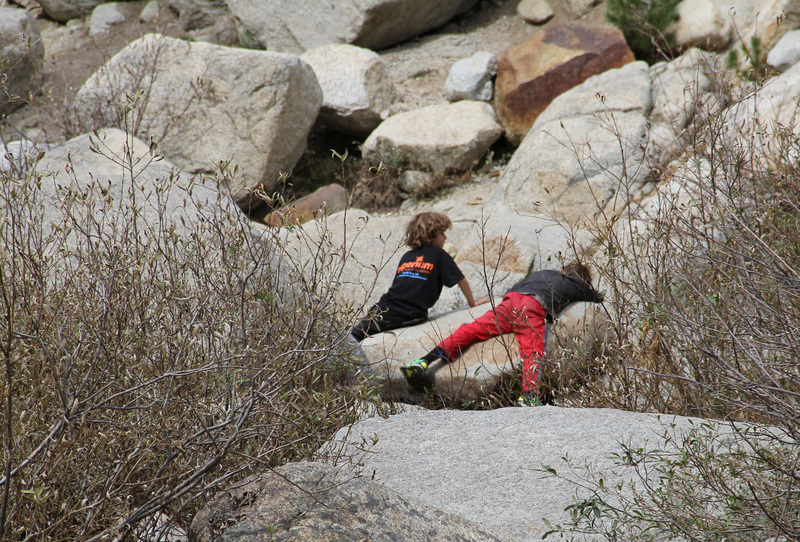 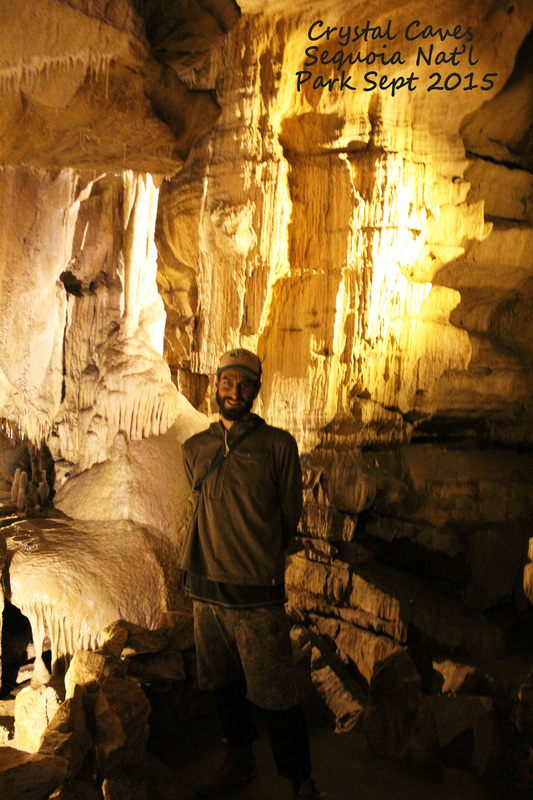 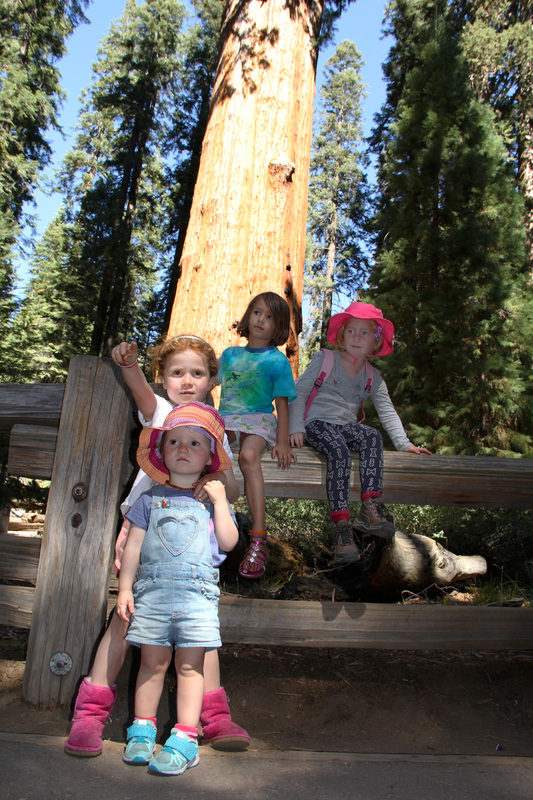 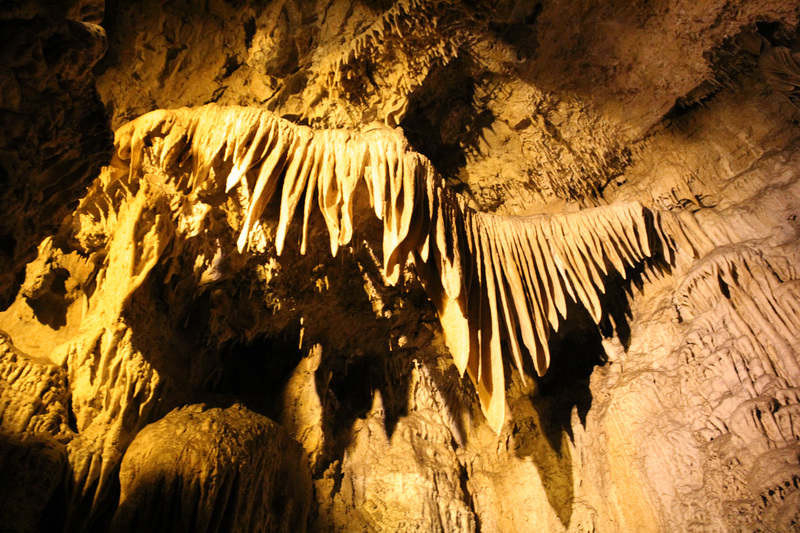 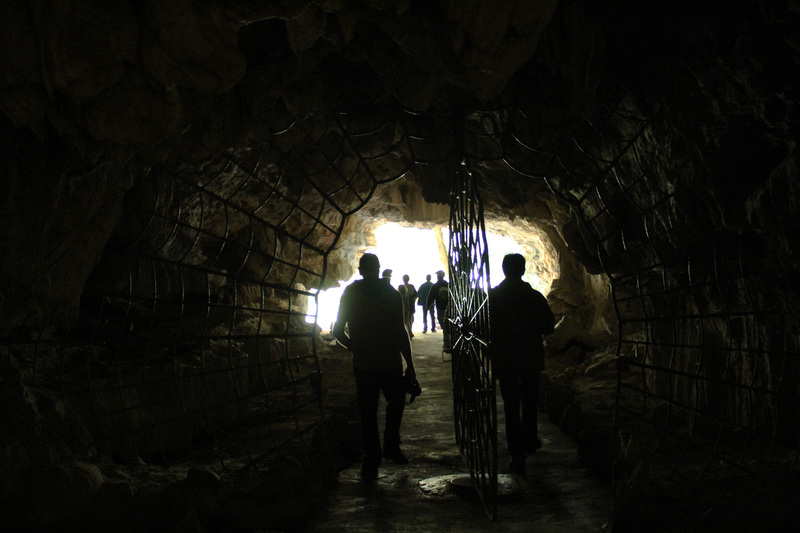 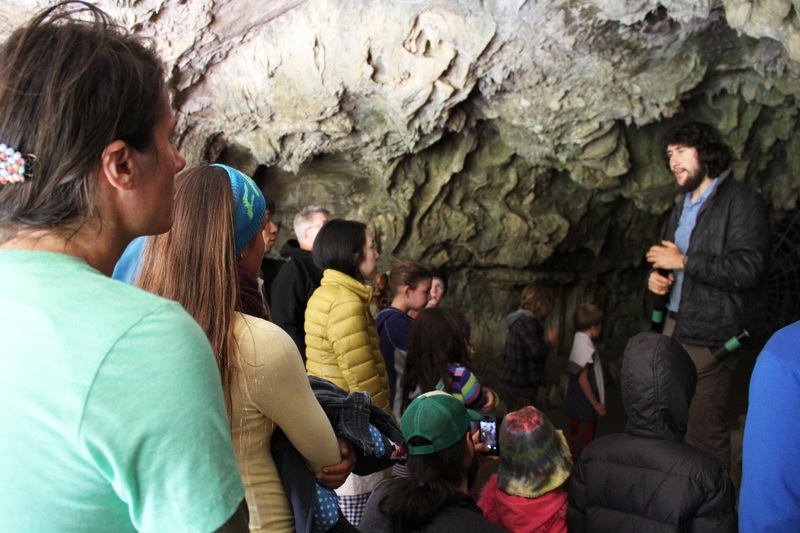 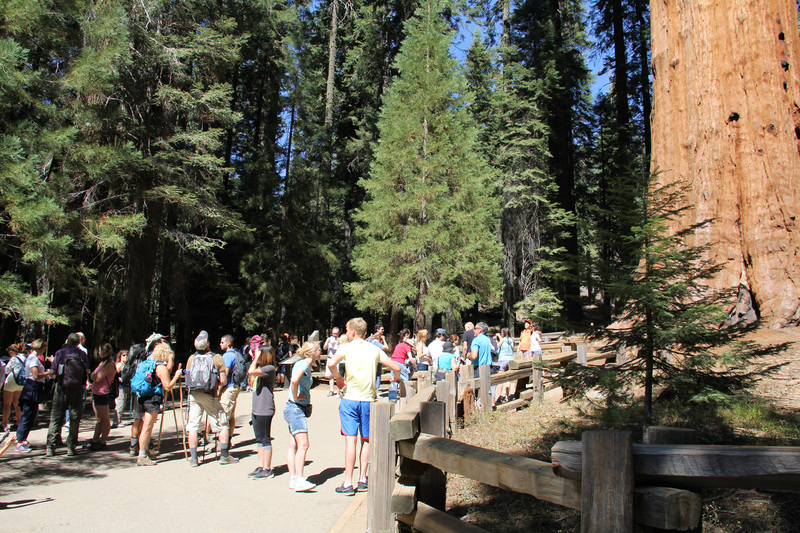 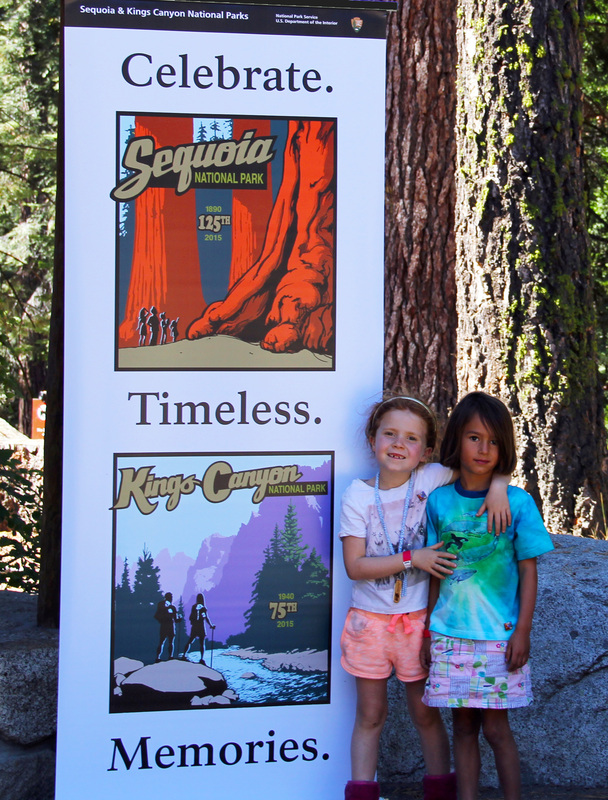 If you have never experienced King’s Canyon and Sequoia National Park: the hikes, the museums, the stellar visitor centers, the amazing Rangers and their talks, the views, the history, the legends, the underground caves (Crystal Cave and Boyden Cave), the star-gazing, and so much more, book a reservation for you and/or your family. 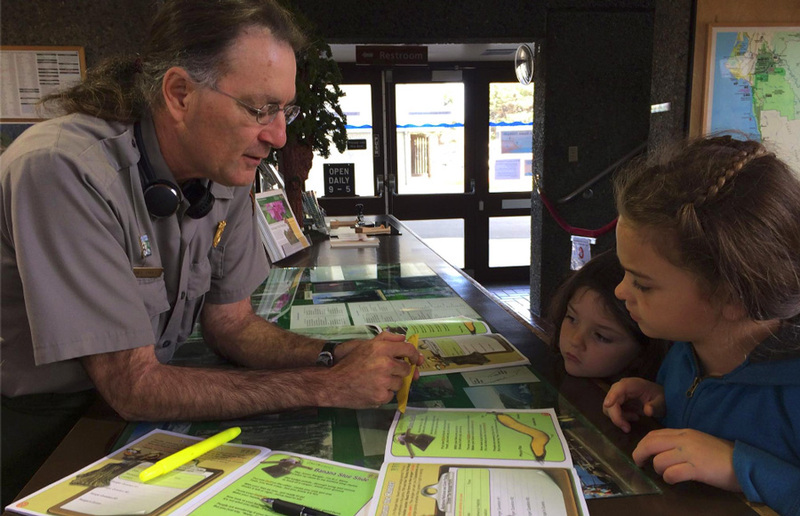 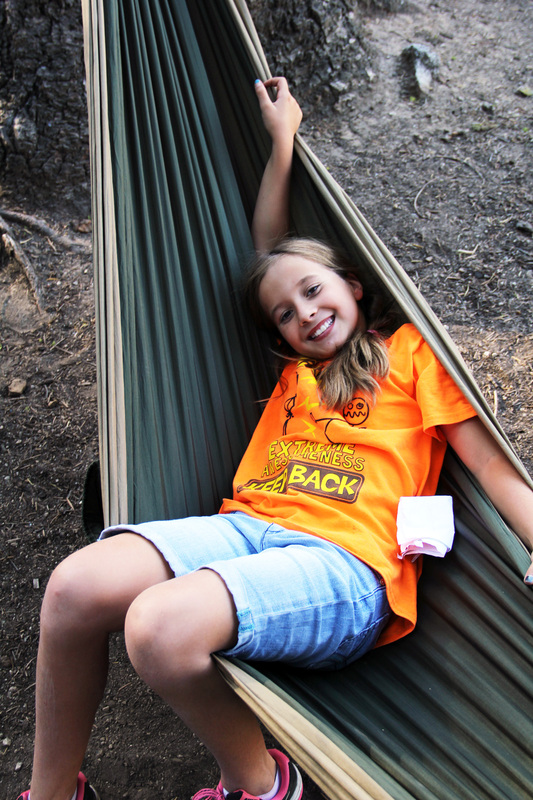 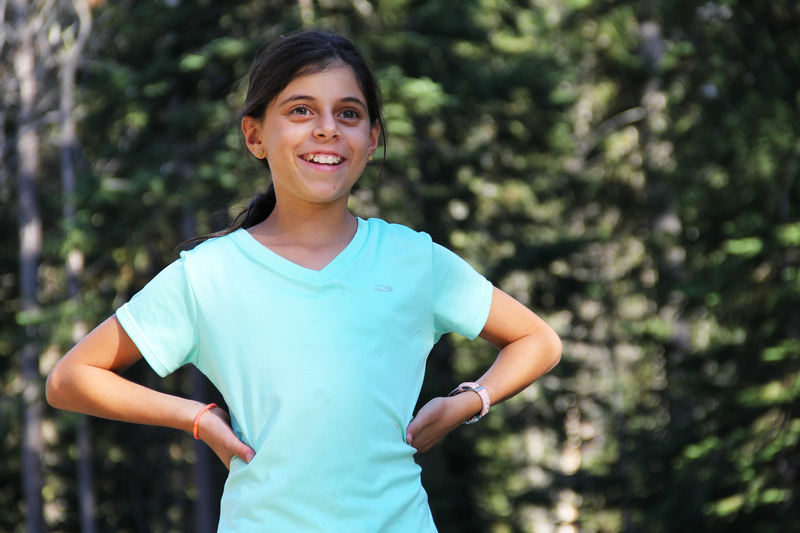 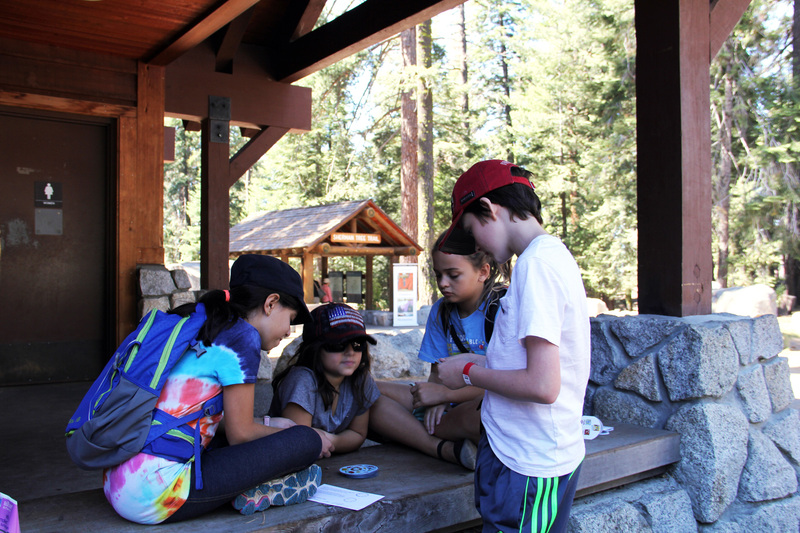 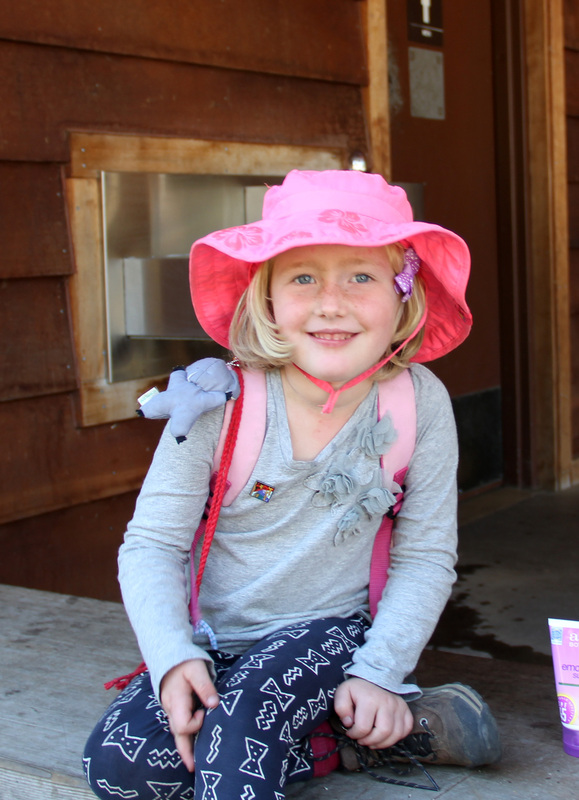 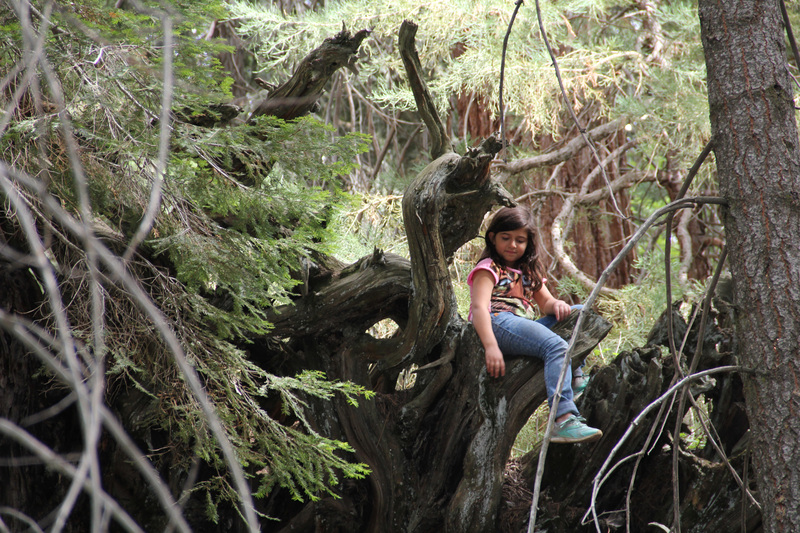 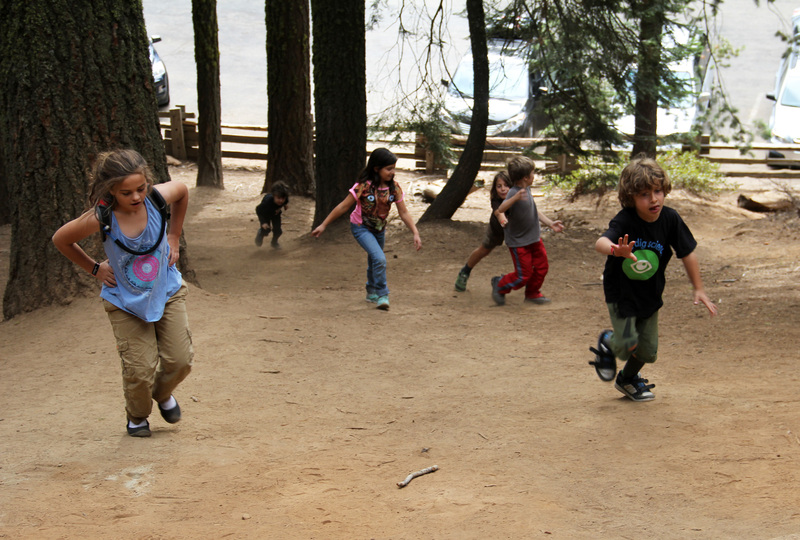 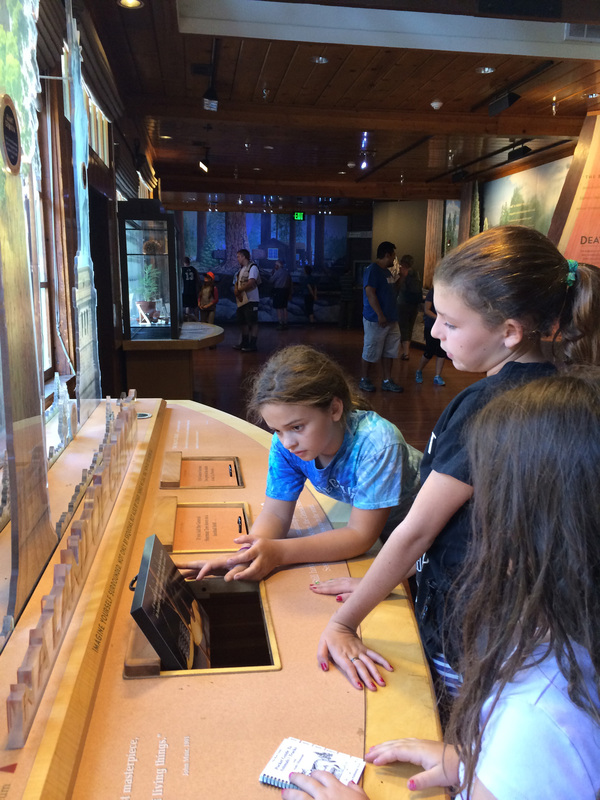 Click to get your own 4th Grader’s free pass to ALL NATIONAL PARKS this School year. 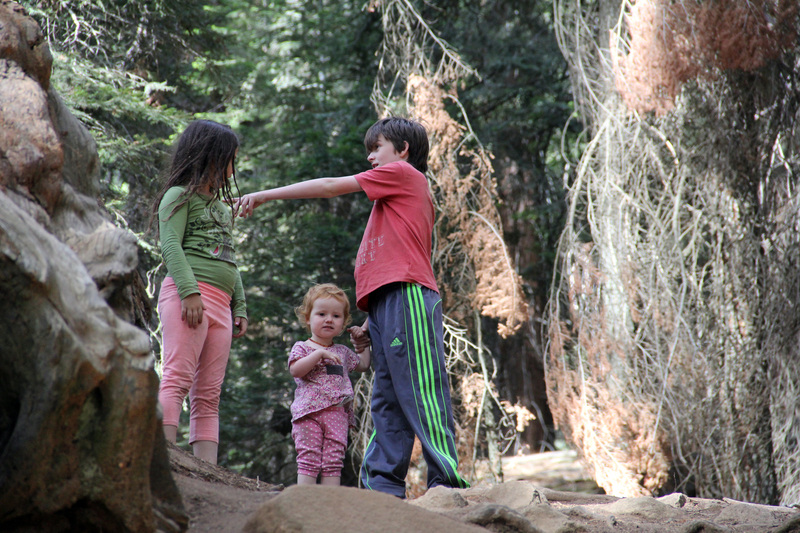 And I believe others will take over after our family heads up to the Pacific North West next month. 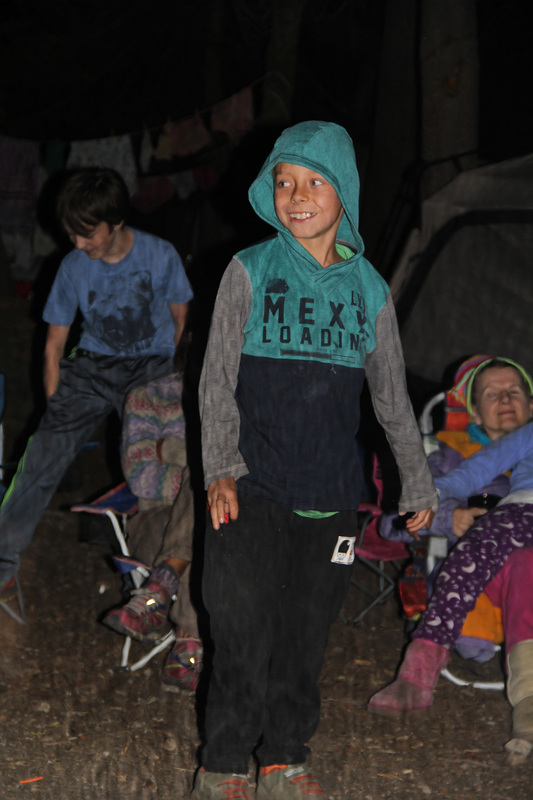 Who knows, we might join everyone for the 7th next year. 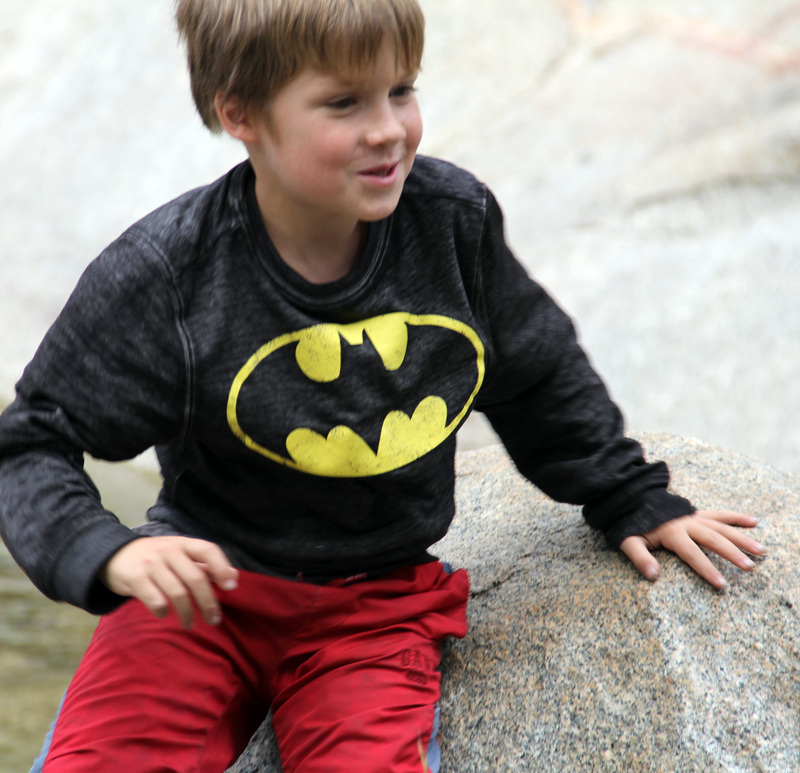 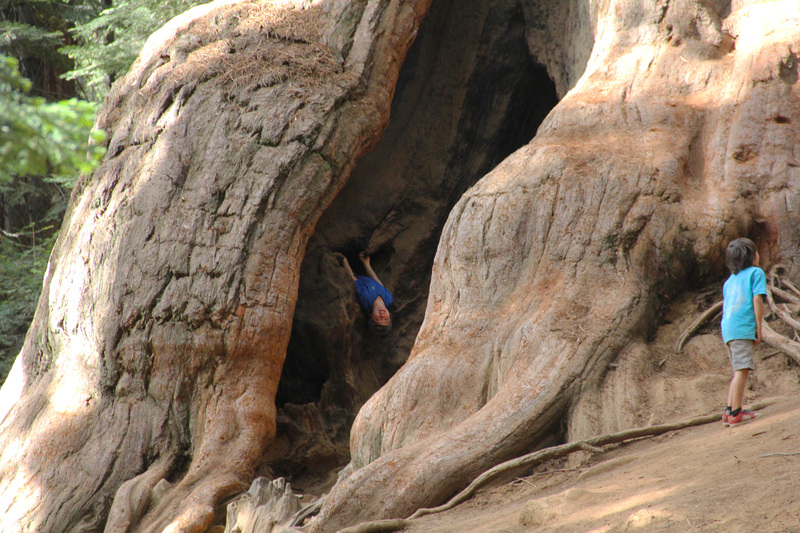 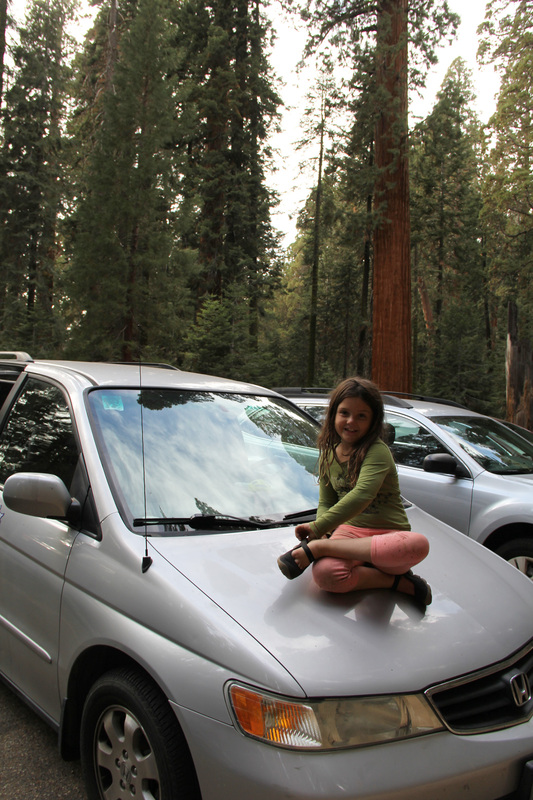 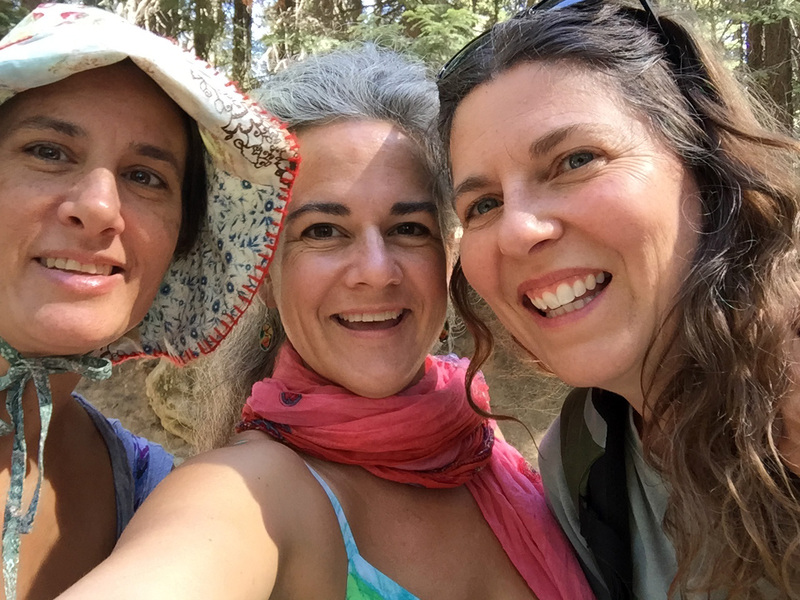 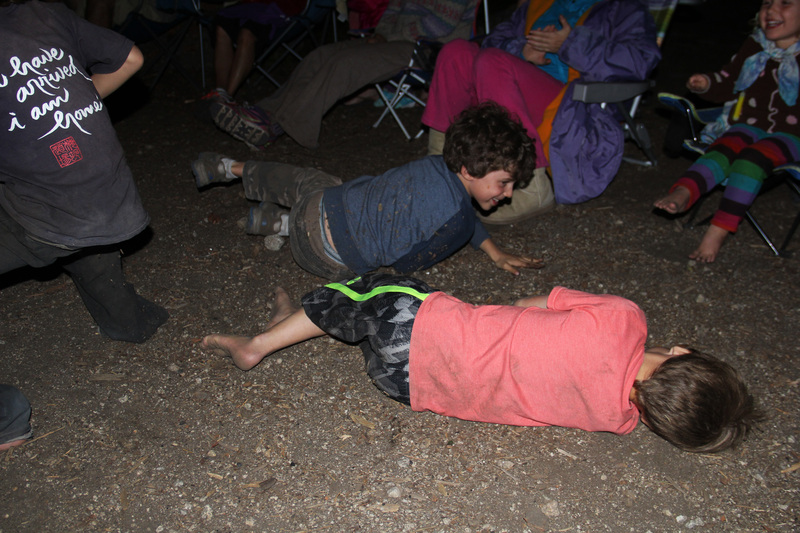 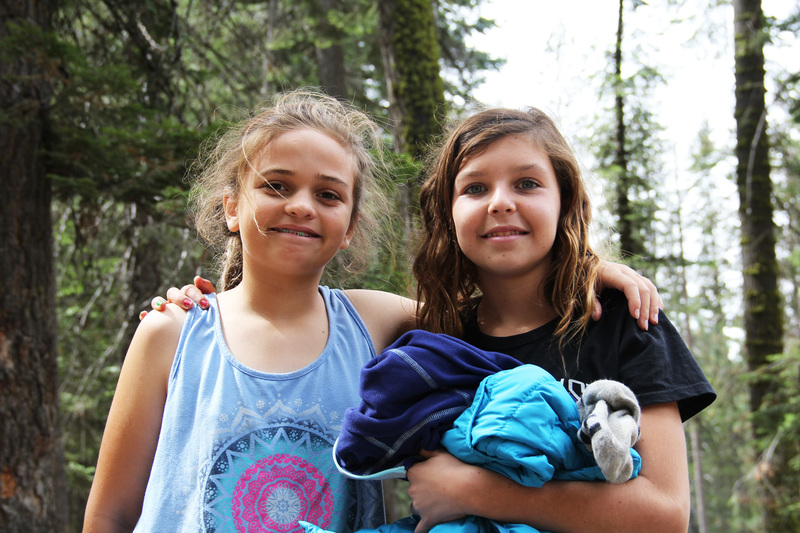 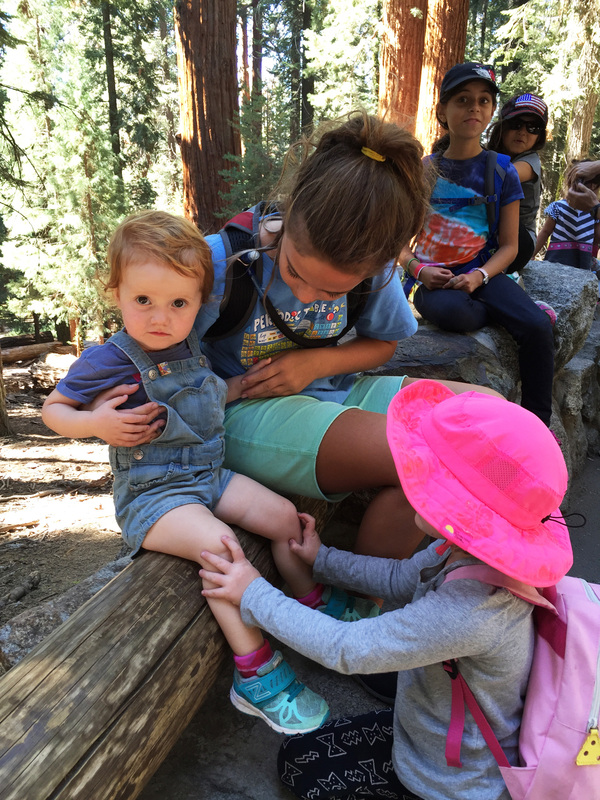 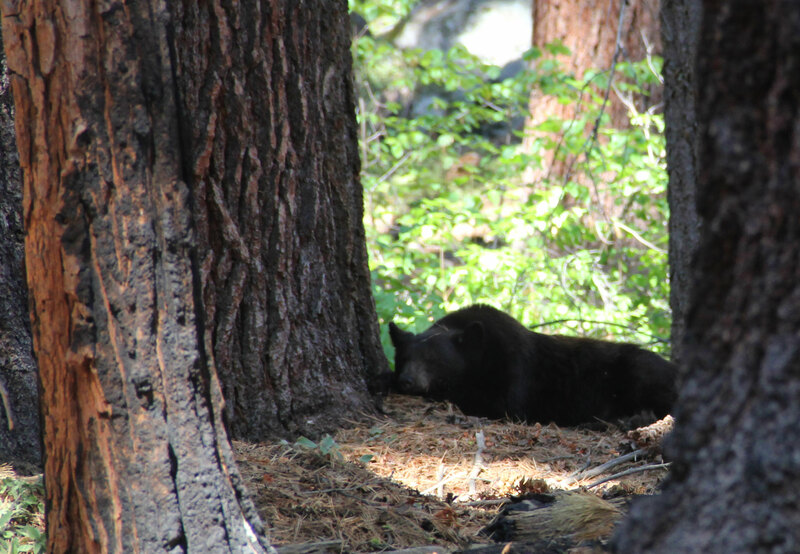 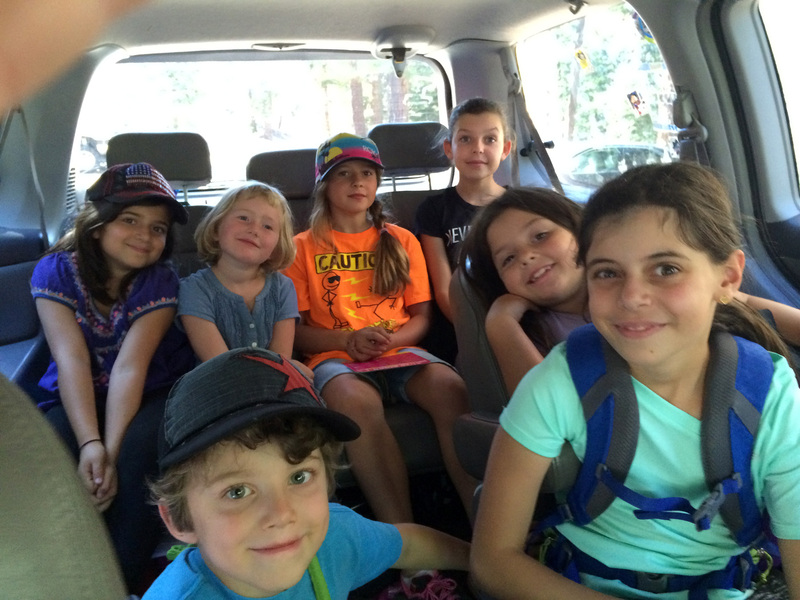 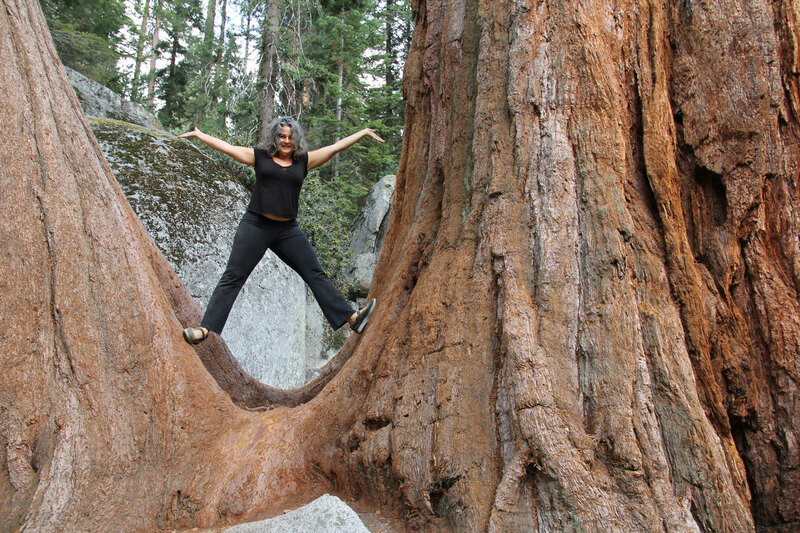 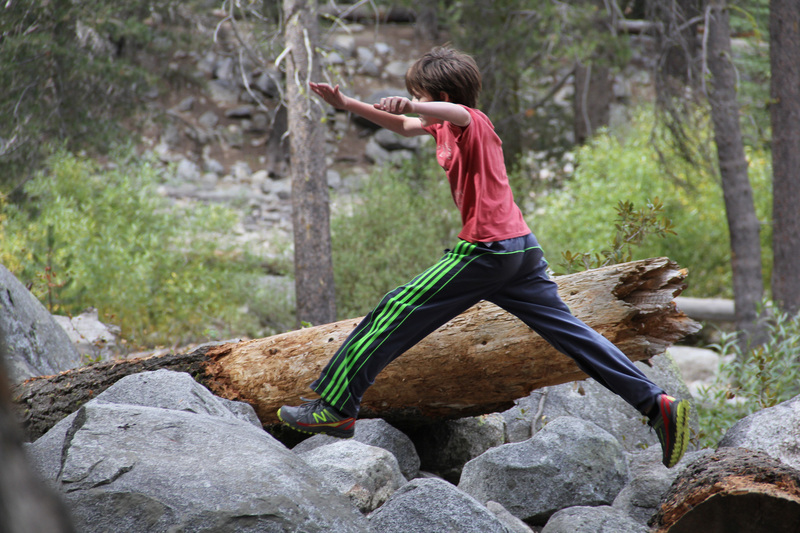 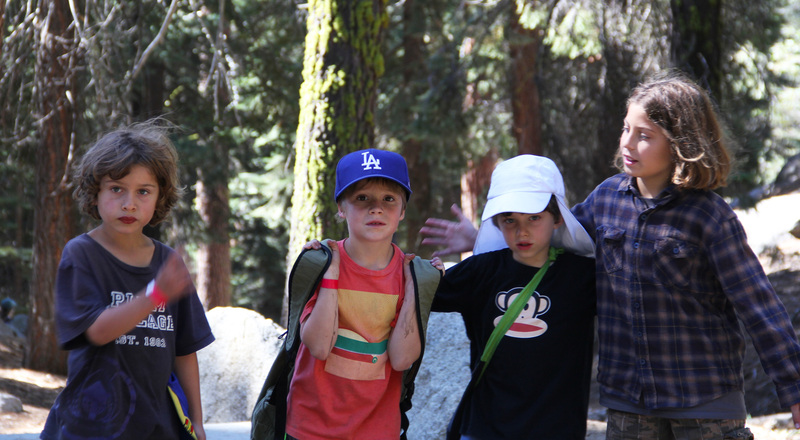 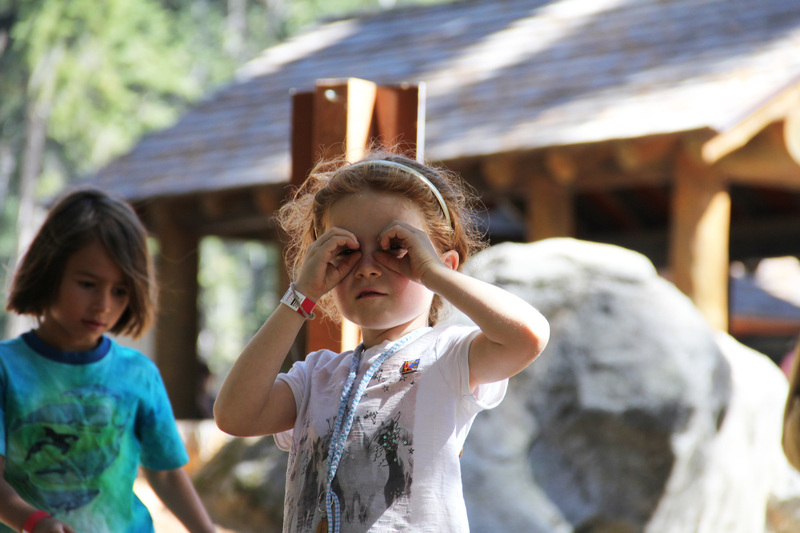 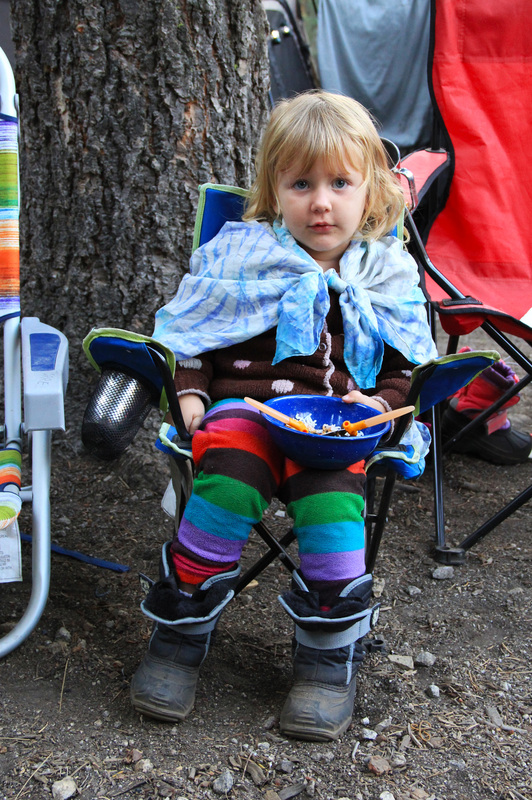 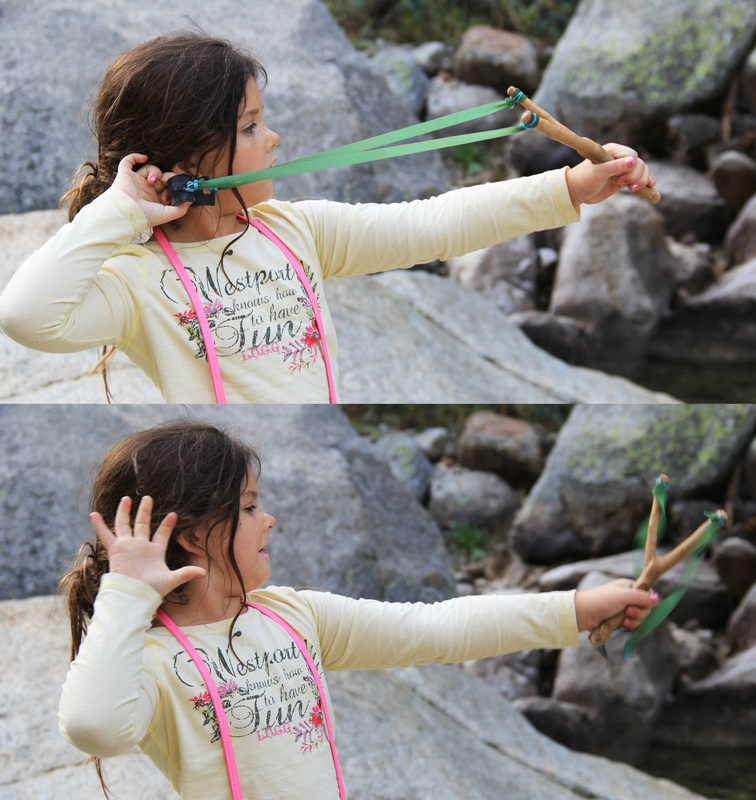 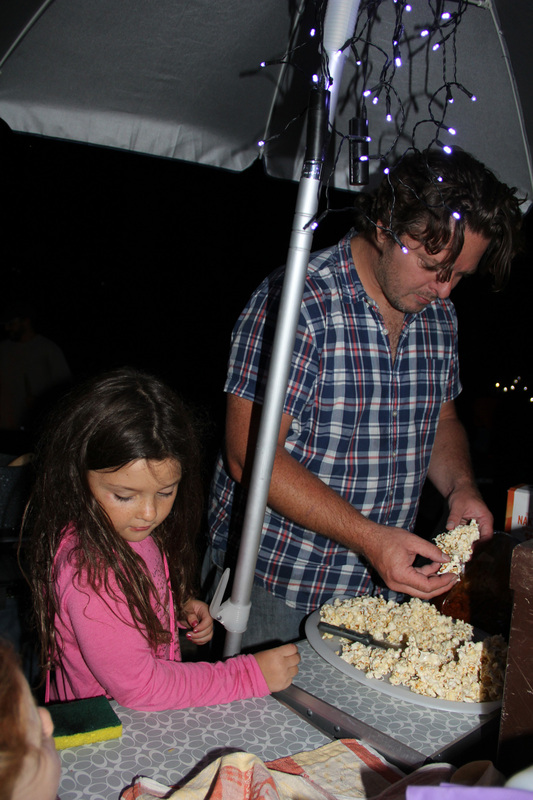 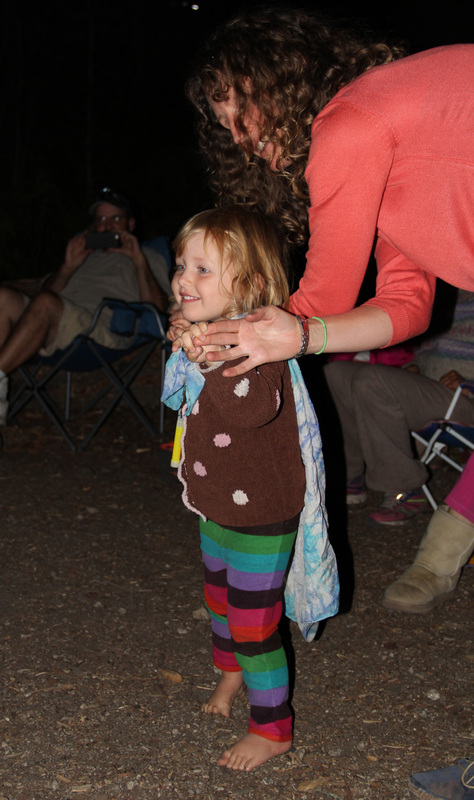 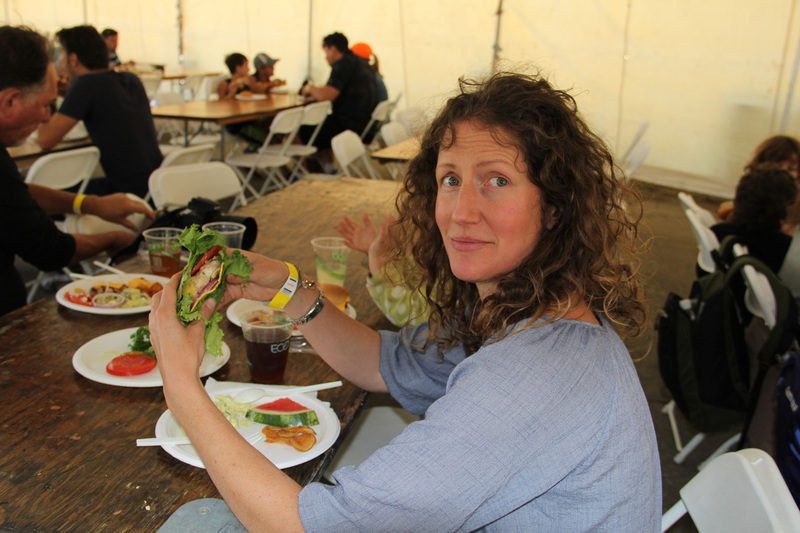 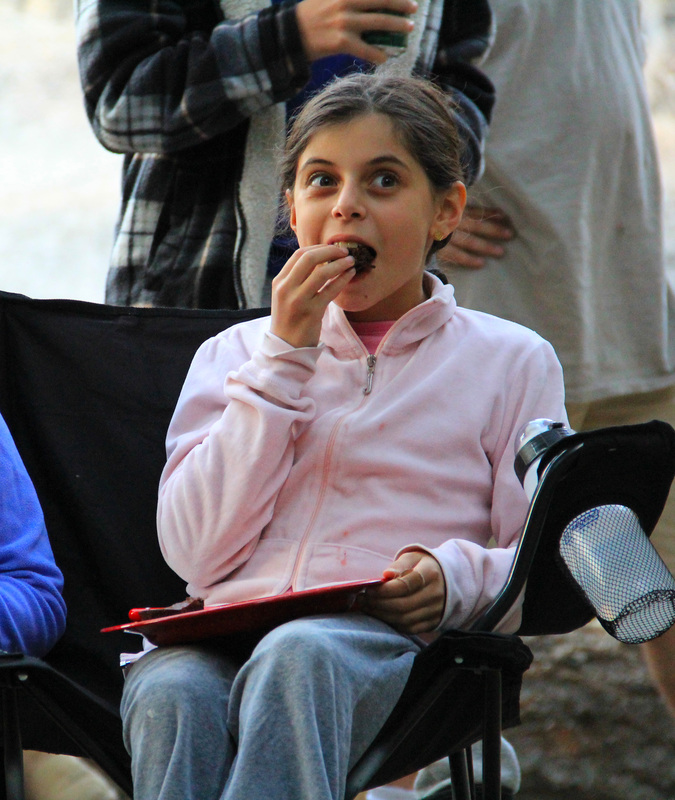 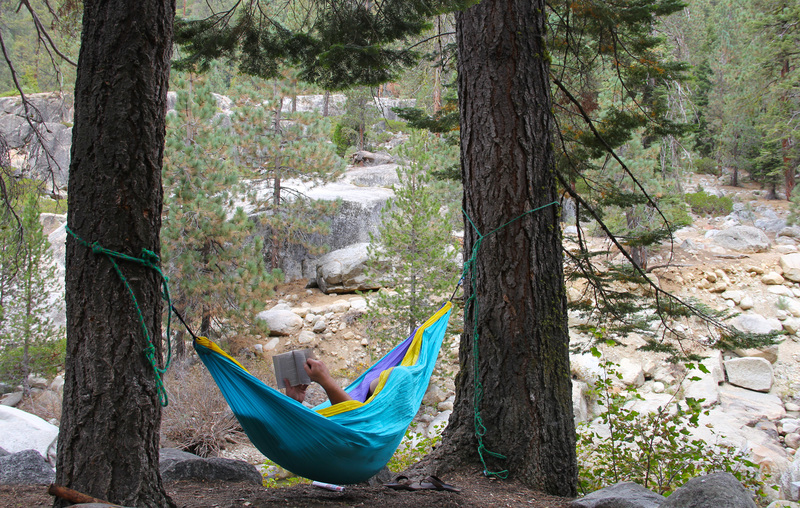 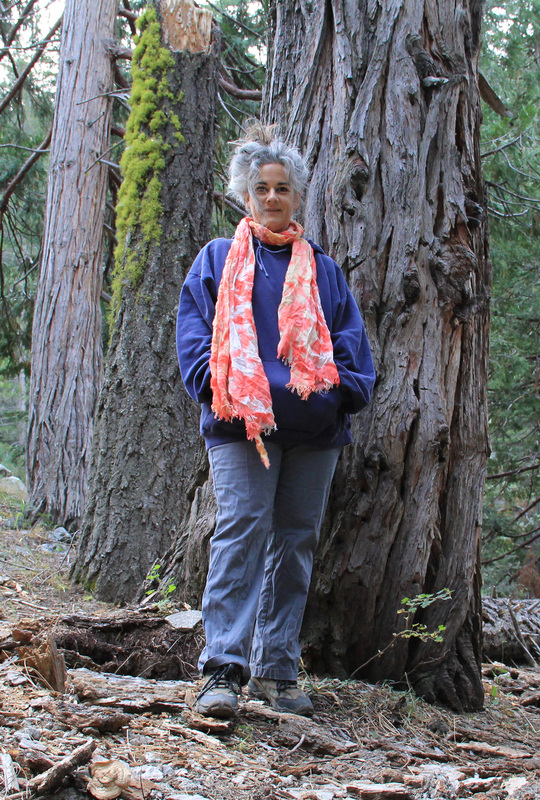 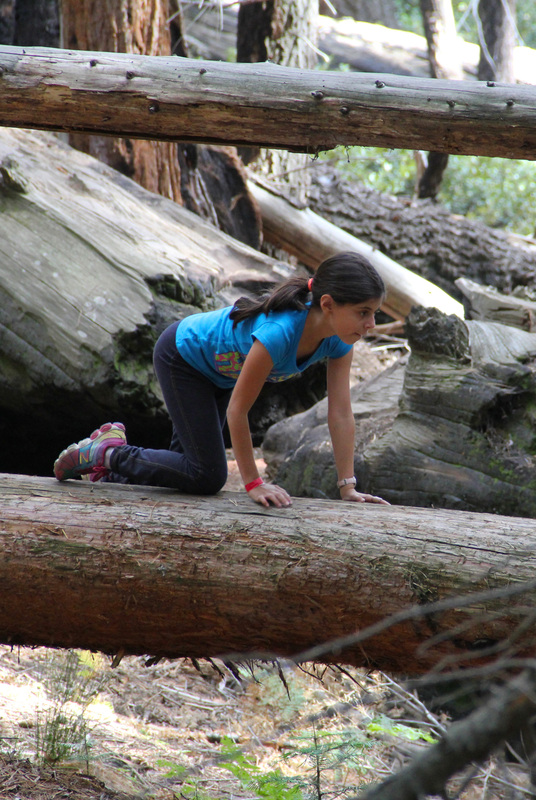 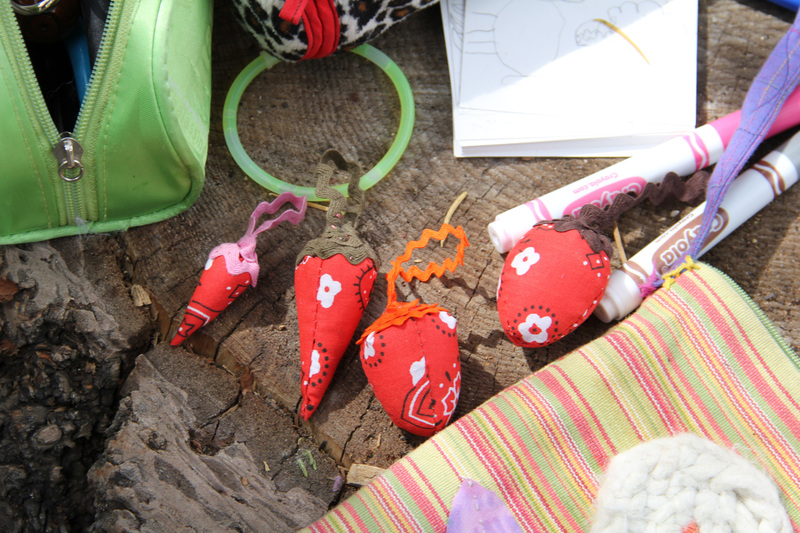 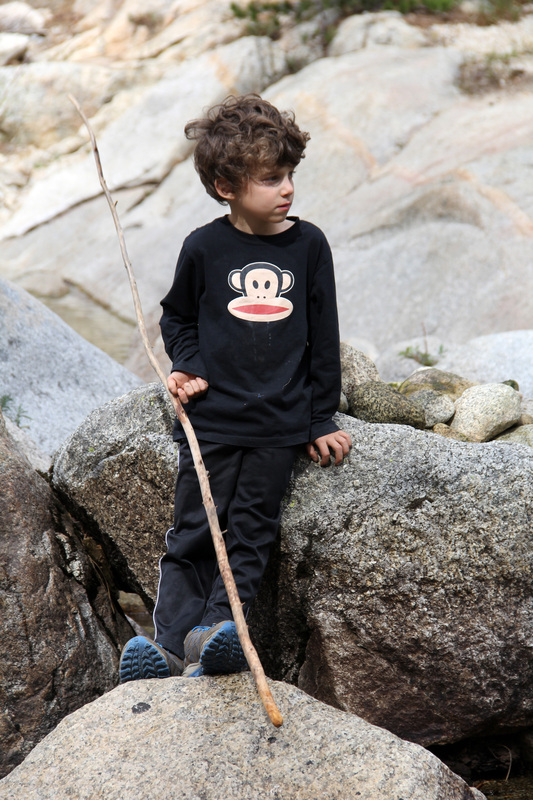 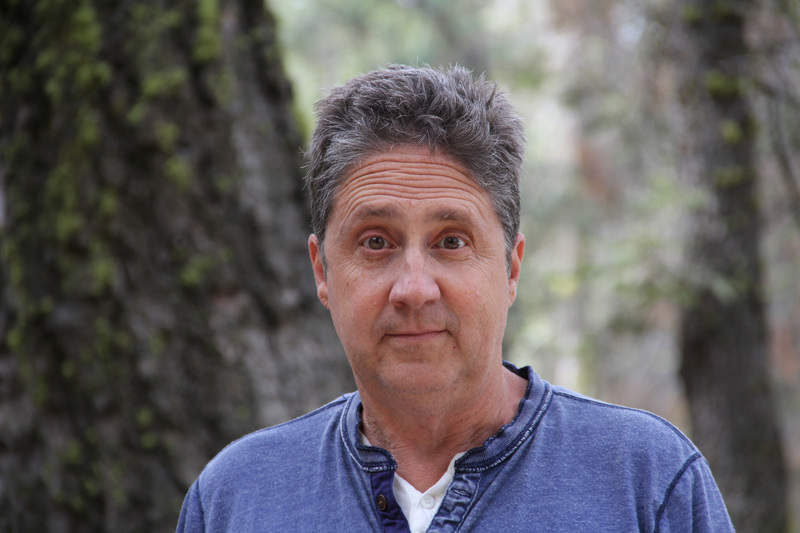 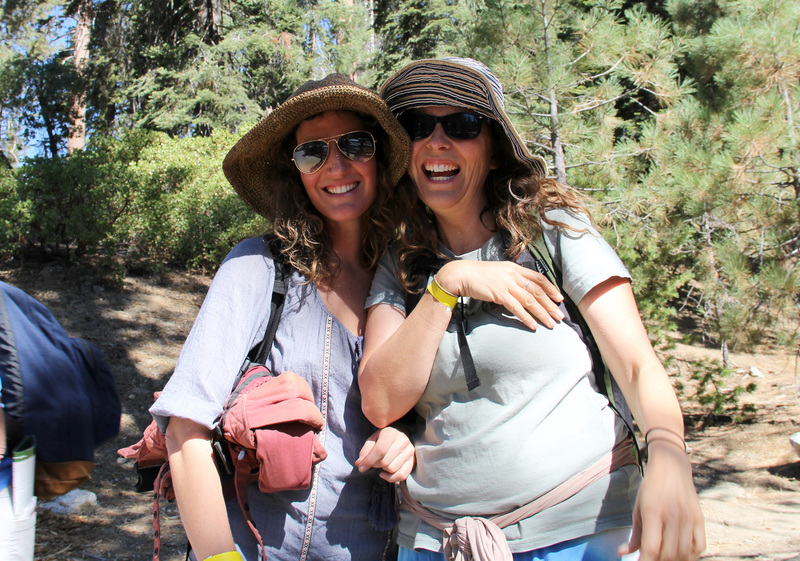 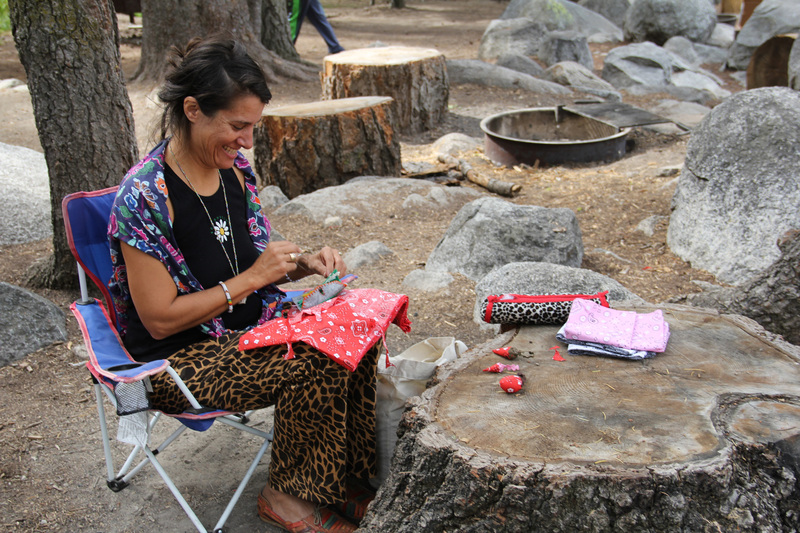 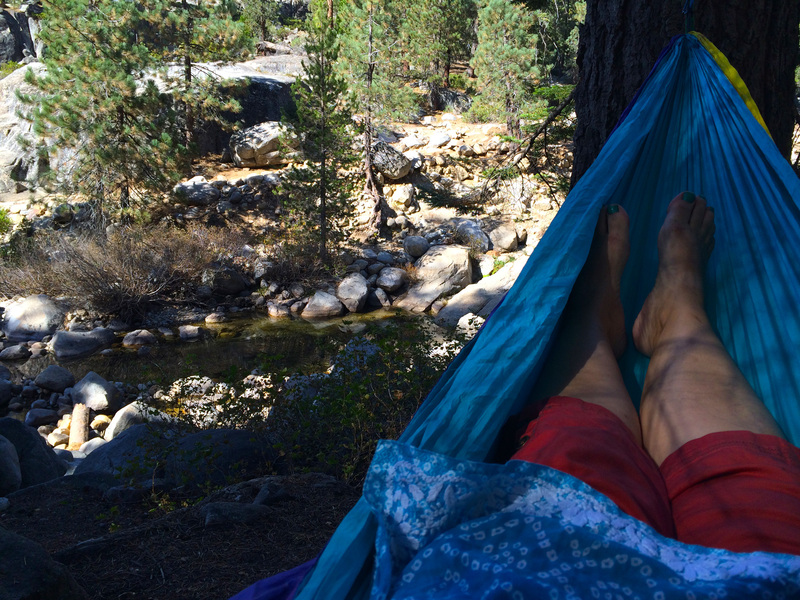 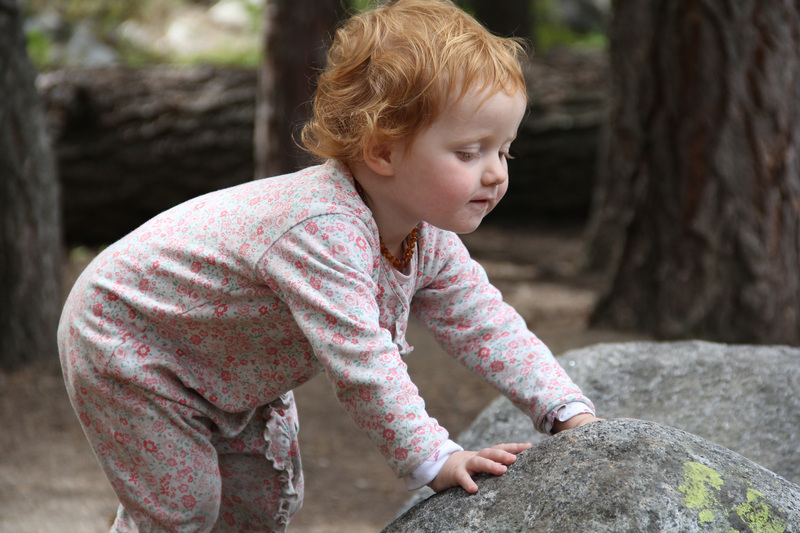 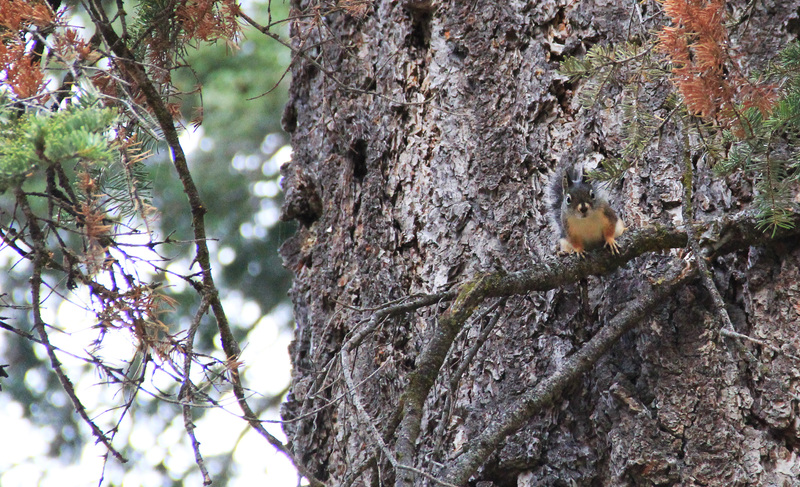 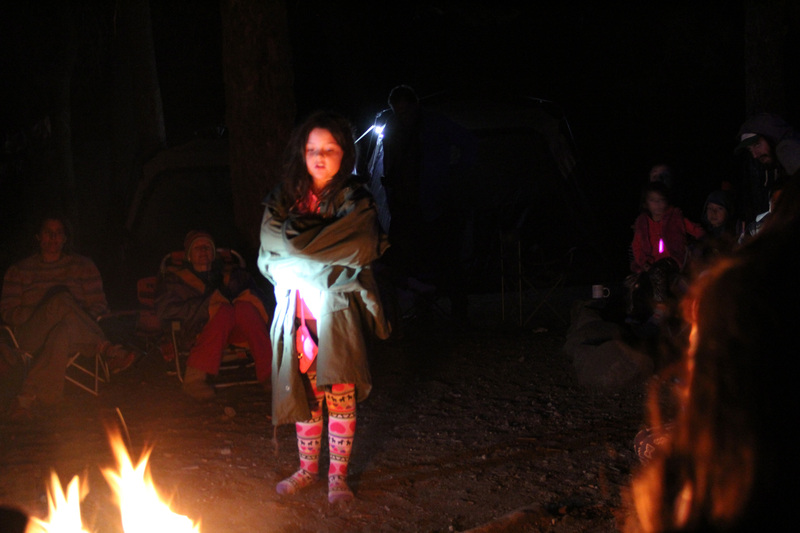 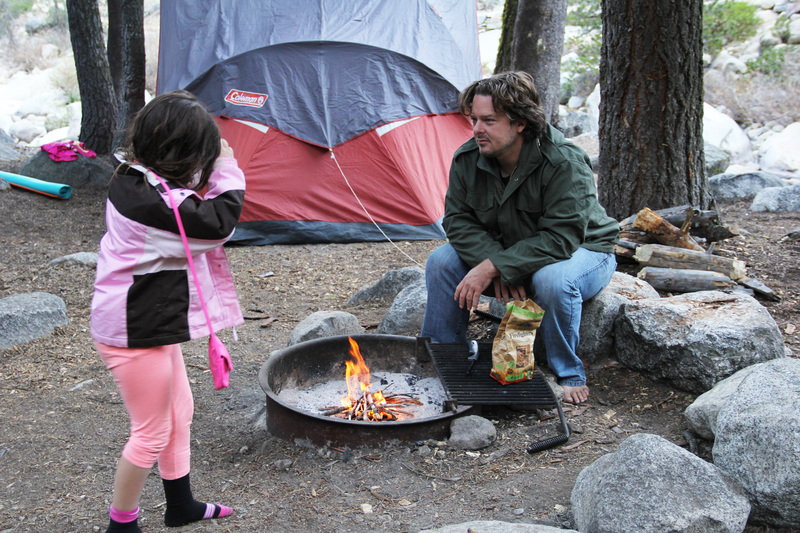 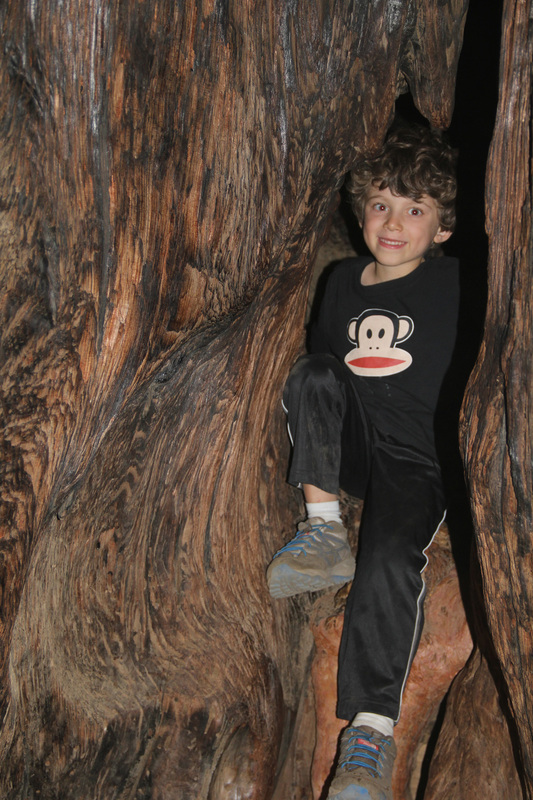 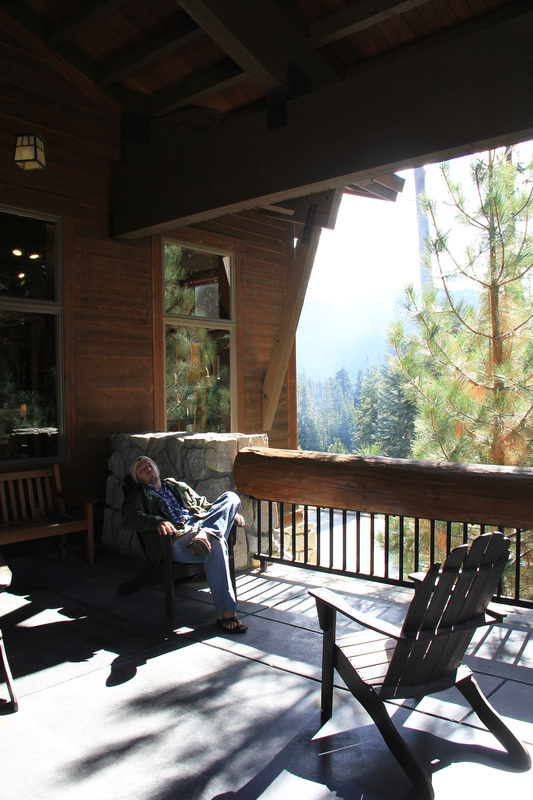 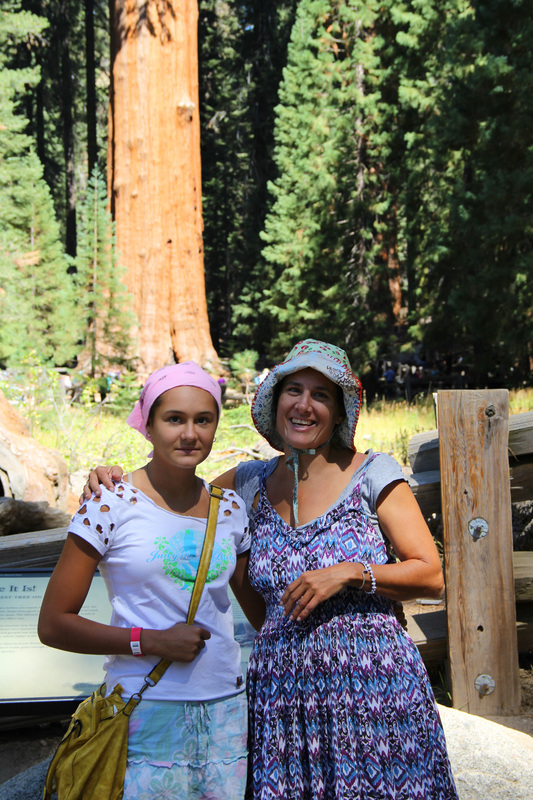 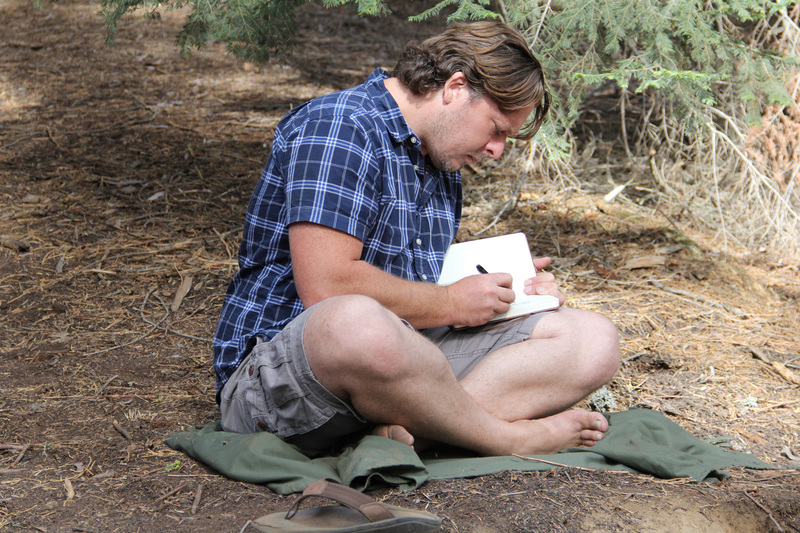 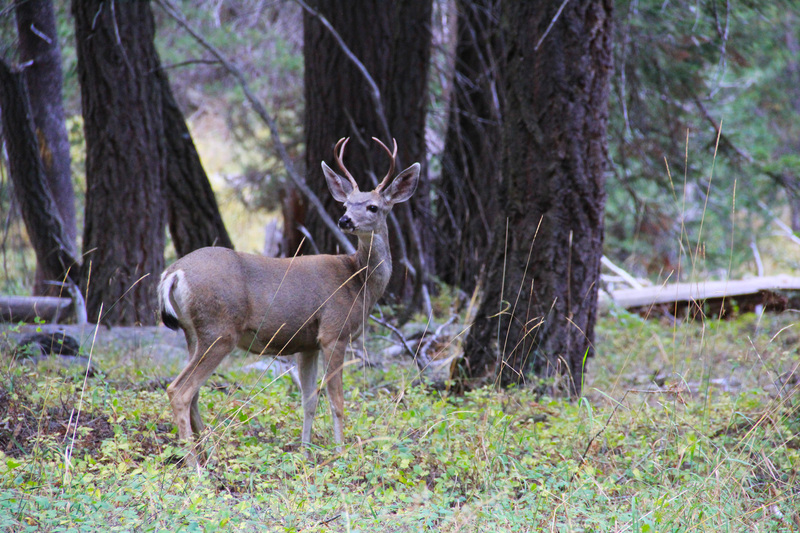 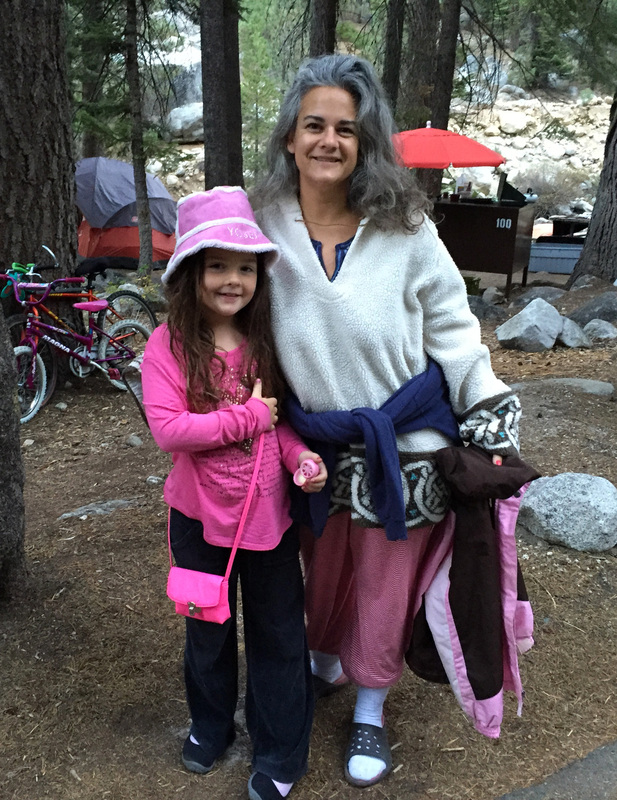 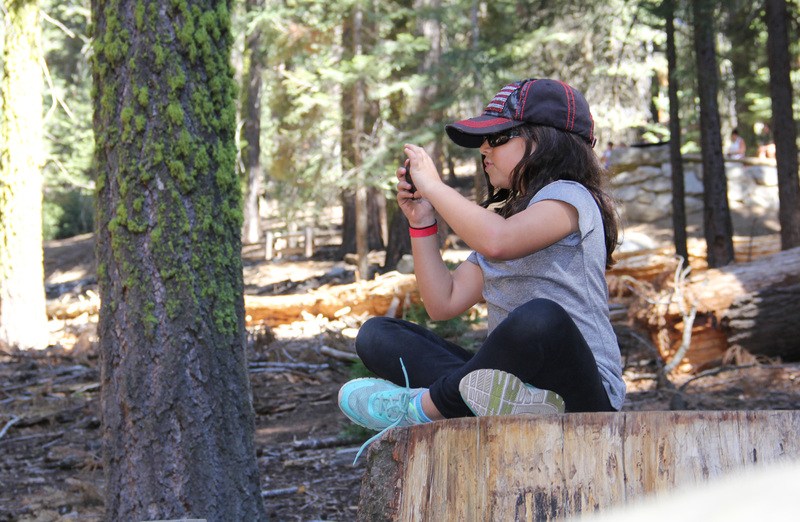 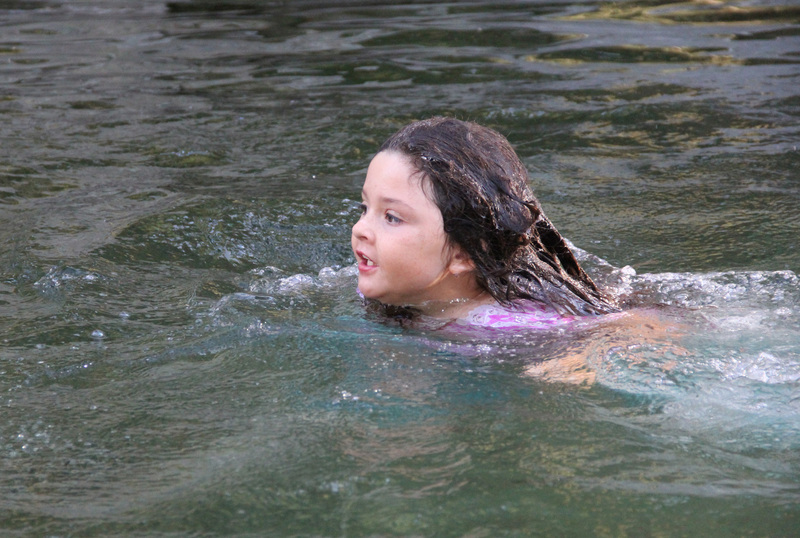 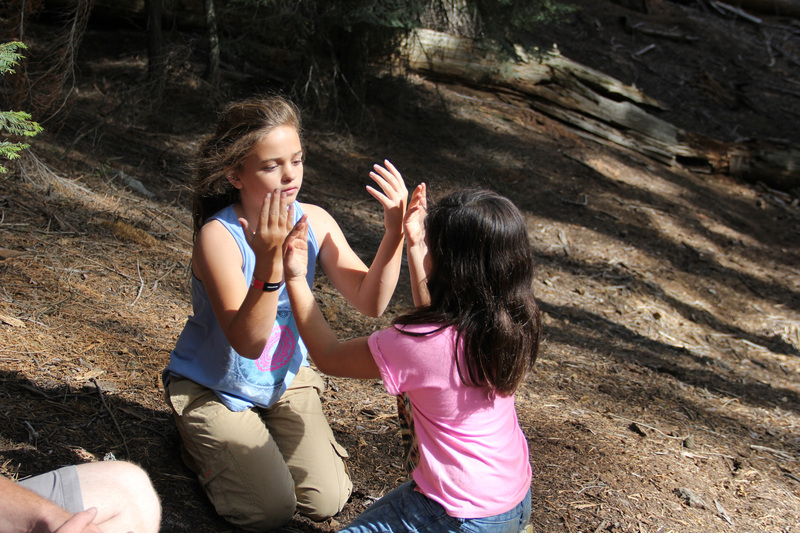 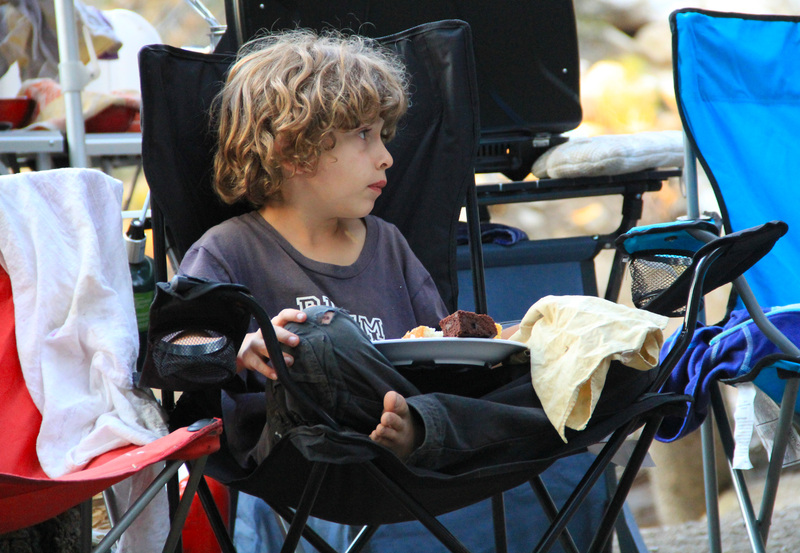 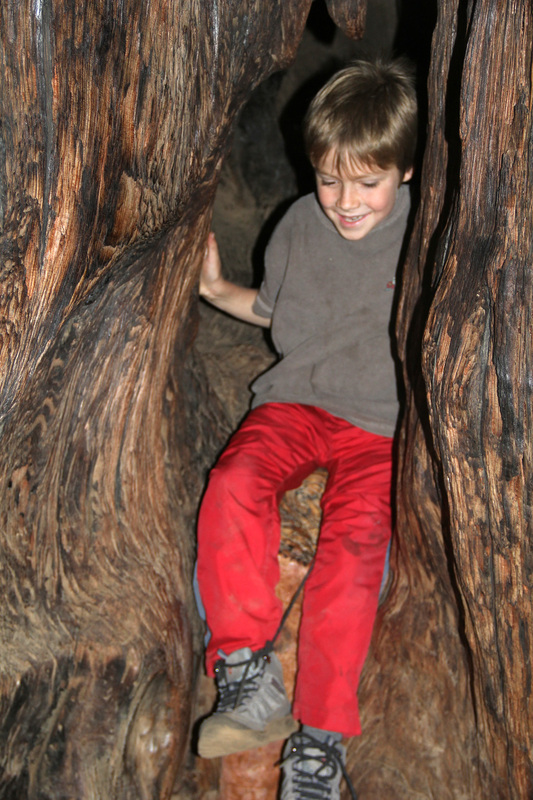 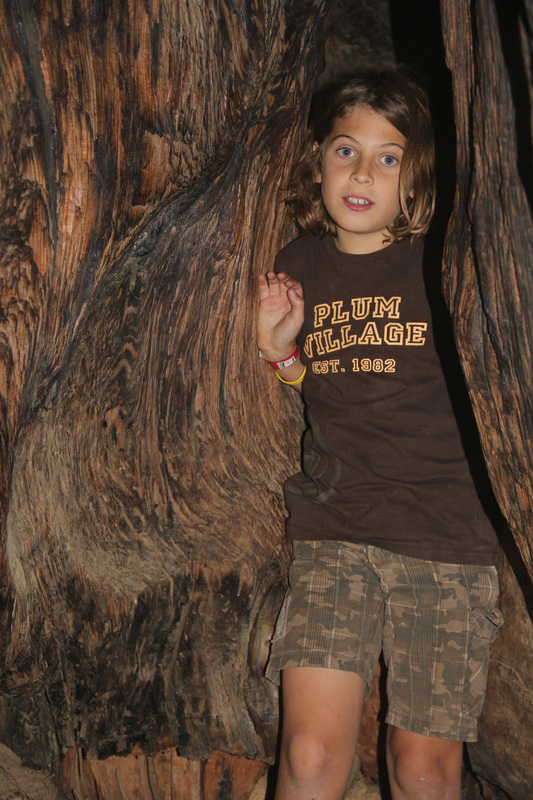 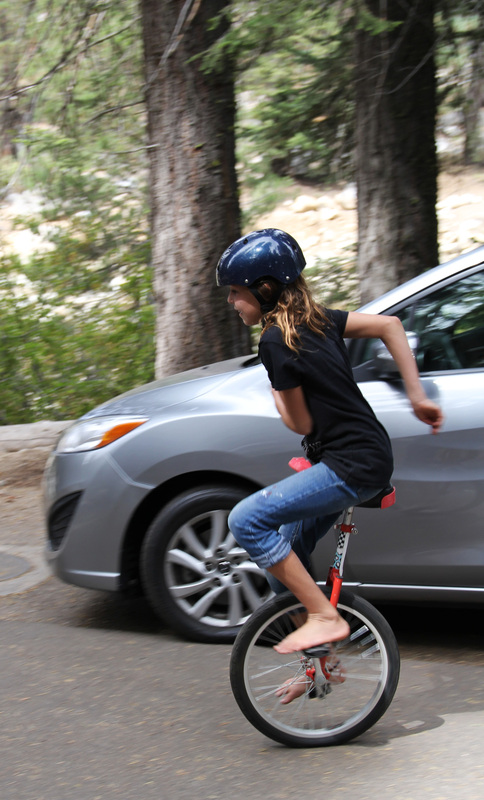 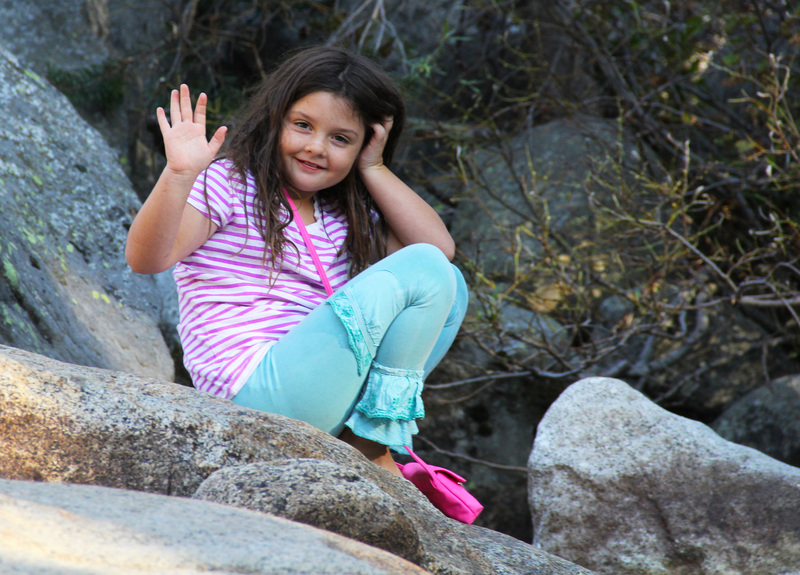 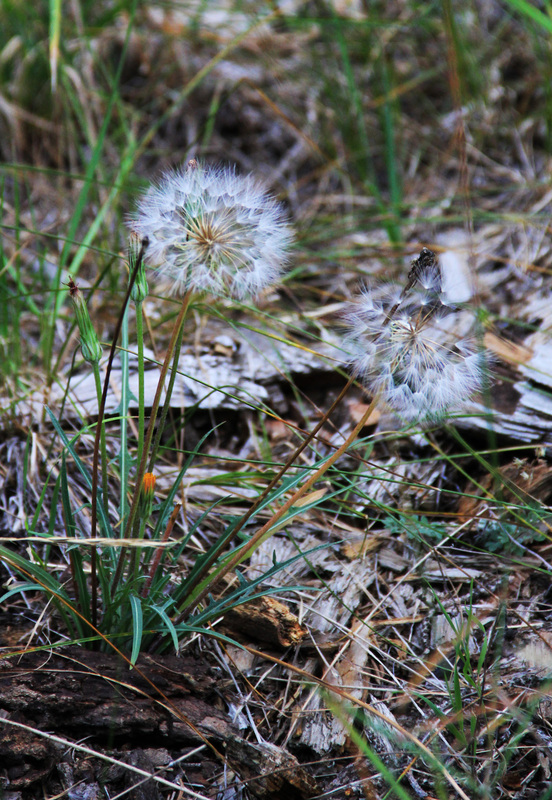 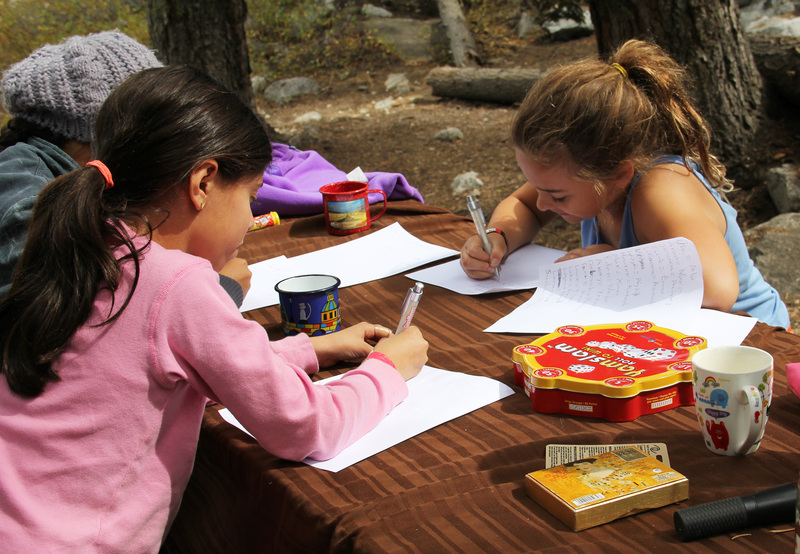 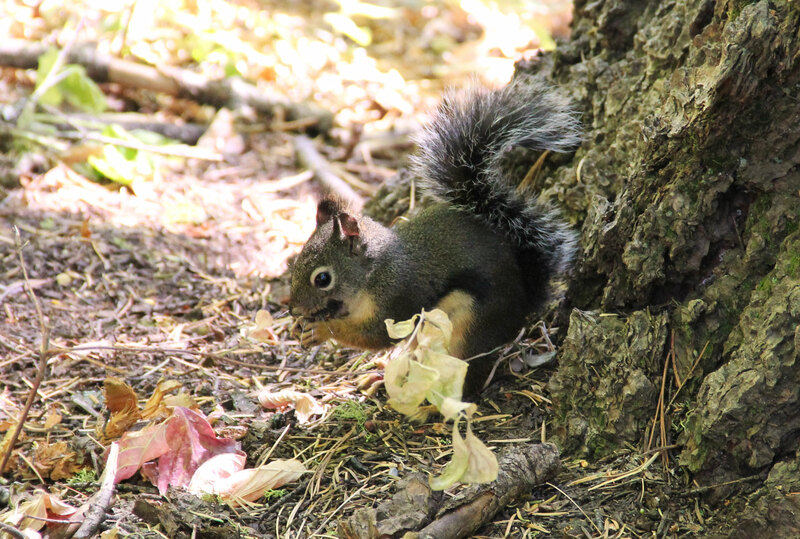 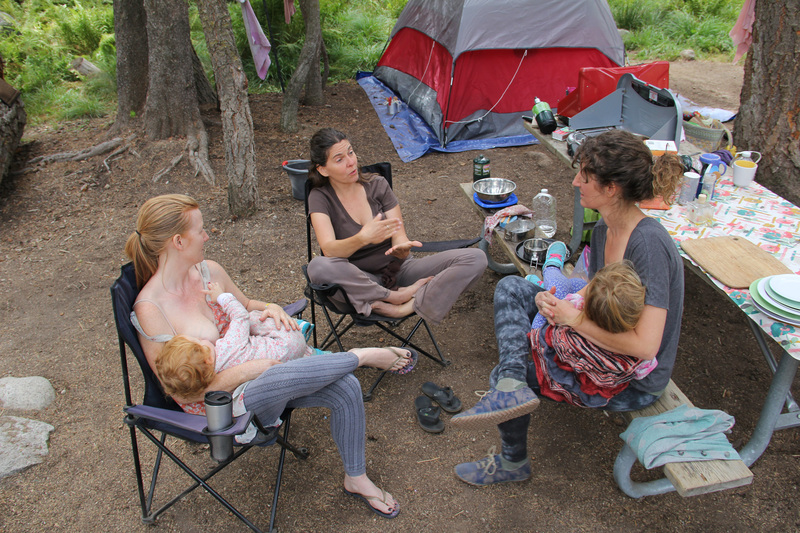 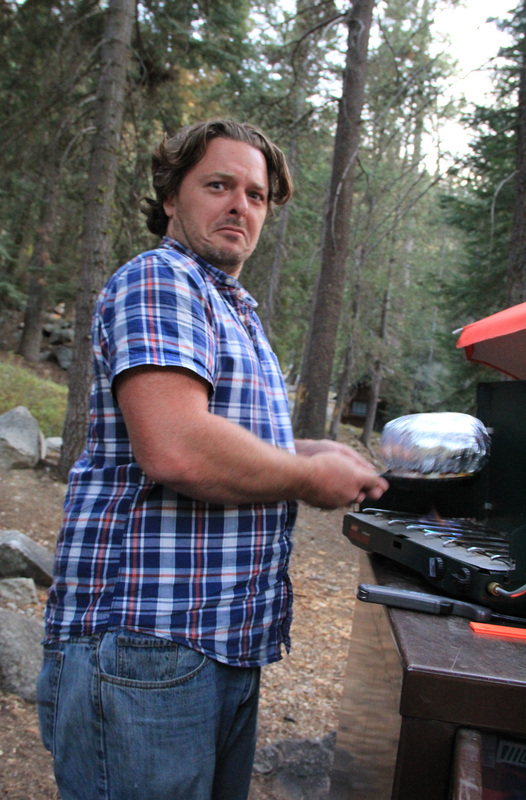 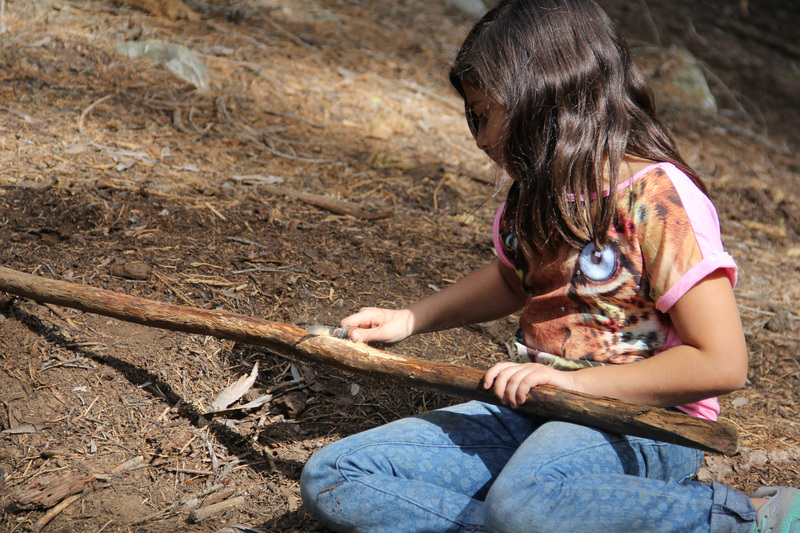 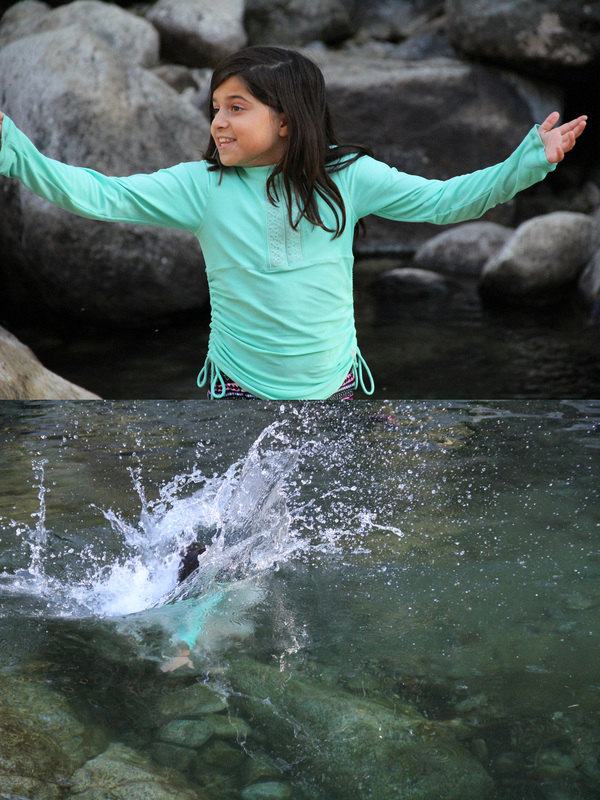 Blogs from Sequoia Campouts. 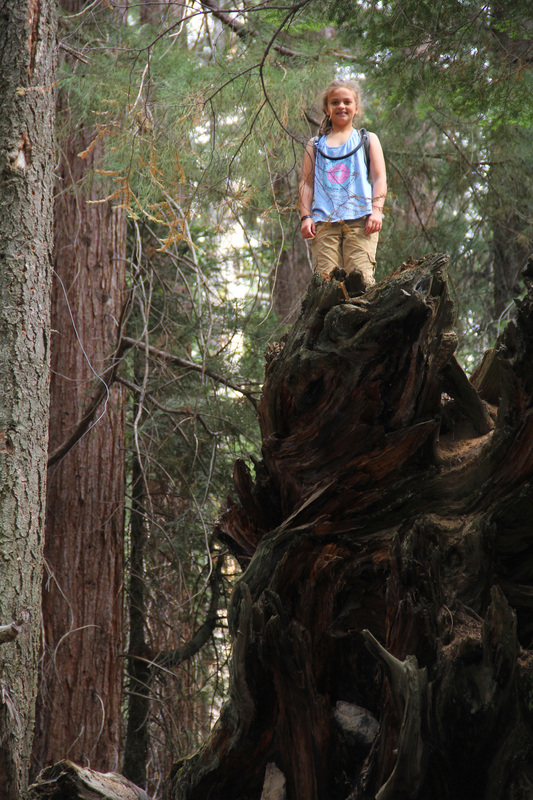 Watch us grow, but the trees stay the same. 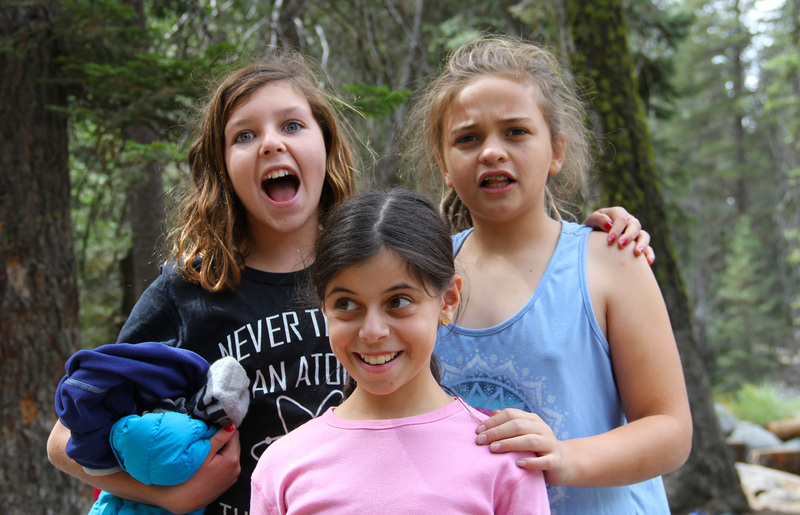 And now click on any of the photos below for this year’s 2015 amazing trip! 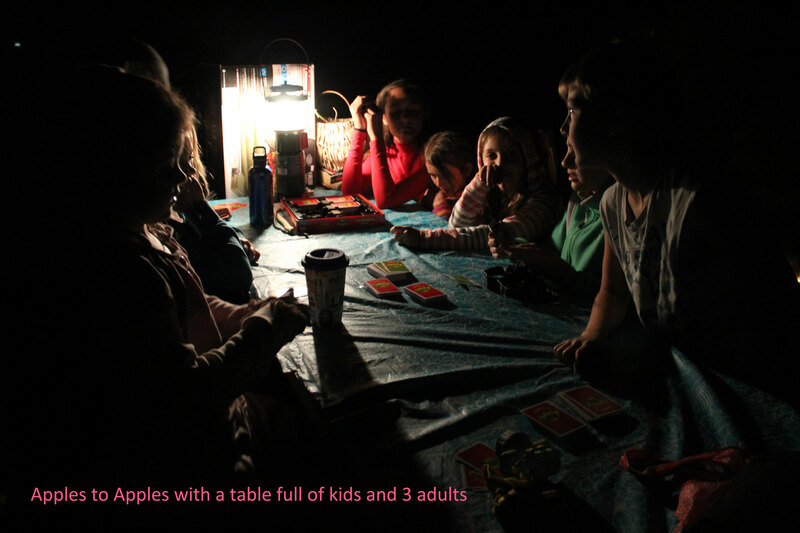 Since this didn’t happen last week, we will play some games that will help everyone identify emotions, play act scenarios and hopefully get not only a better sense of the value of other people’s emotions, but those of our own.